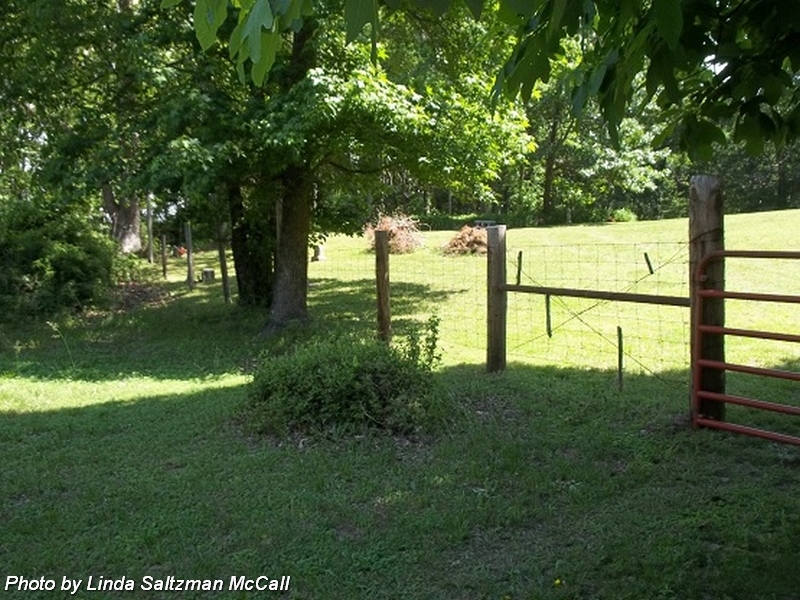 Photographs courtesy of Linda Saltzman McCall. 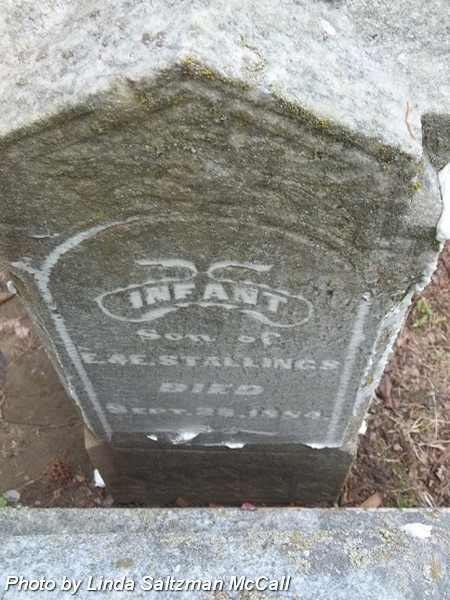 Infant son of Larkin & Martha Ann (Fitzgerald) Bailey. nee Burnett. 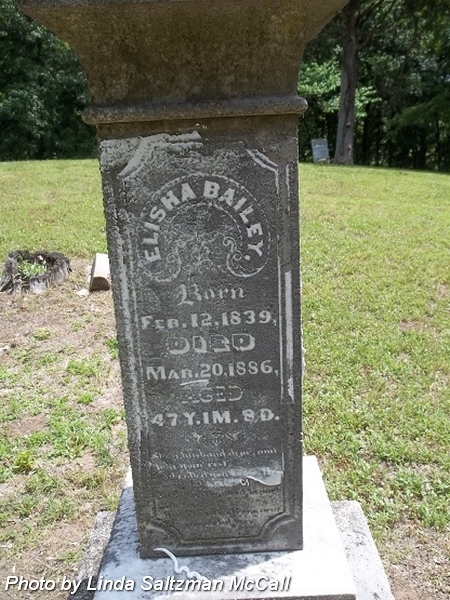 Wife of Elisha Bailey. Married 26 Dec 1869. Husband of Susan (Stallings) Bailey. Married 28 Dec 1865. Son of John A & Cynthia (Stallings) Bailey. 1st Sgt., Co. A, 91st Reg. Indiana Volunteers. Enlisted as Corporal on 10 Aug 1862. Promoted to Full 1st Sergeant. Mustered out on 26 Jun 1865 at Salisbury, North Carolina. 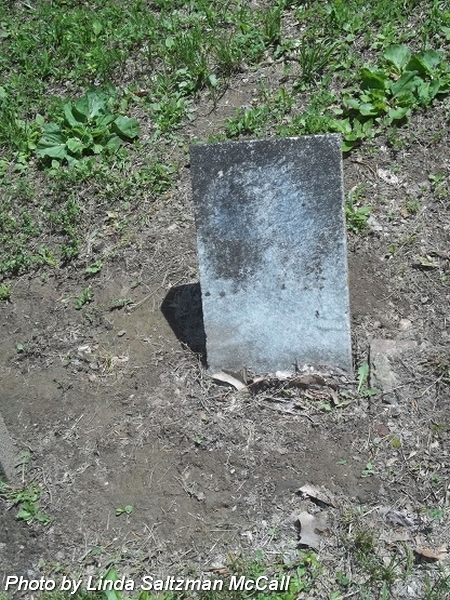 No headstone found 29 May 2011. 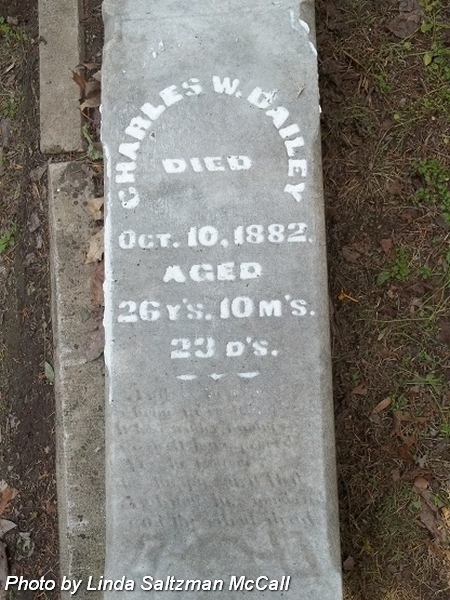 Husband of Sarah Elisabeth Bailey. Married 19 Jan 1877. 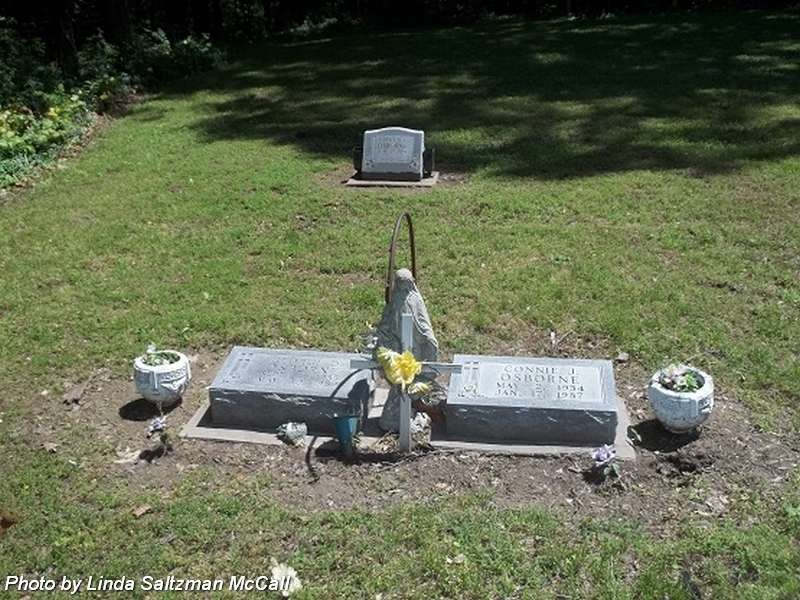 Son of Larkin & Martha Ann (Fitzgerald) Bailey. nee Stallings. 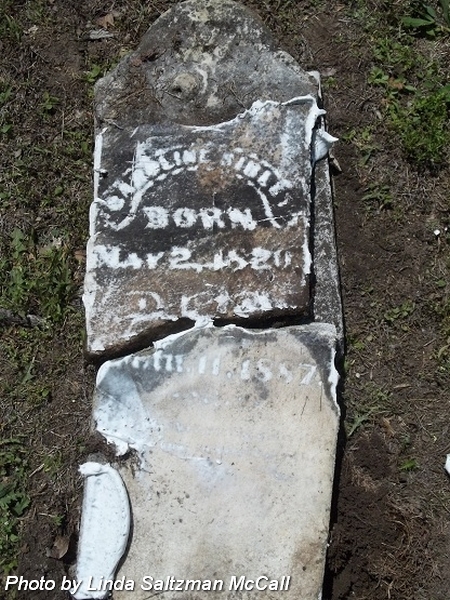 Wife of John A Bailey. Married 1 Feb 1827. Husband of Ann E (Burnett) Bailey. Married 26 Dec 1869. 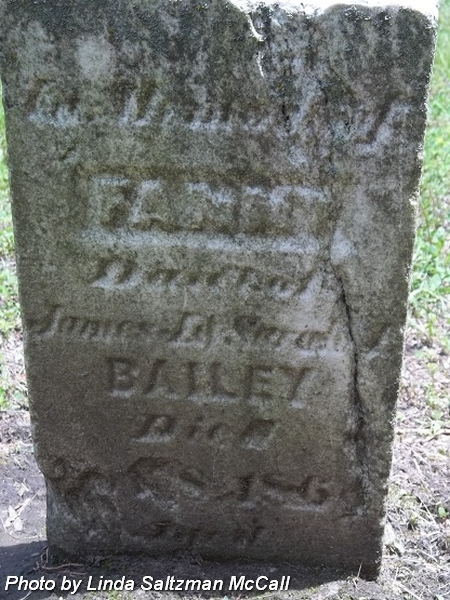 Daughter of James J & Sarah J (Defur) Bailey. Age: 9 mos & 9 days. 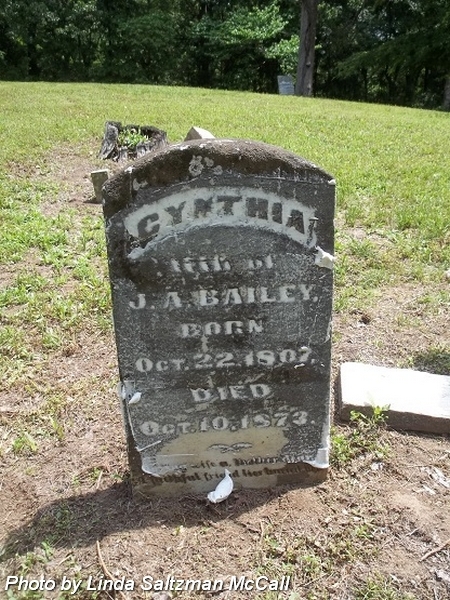 Husband of Cynthia (Stallings) Bailey. Married 1 Feb 1827. 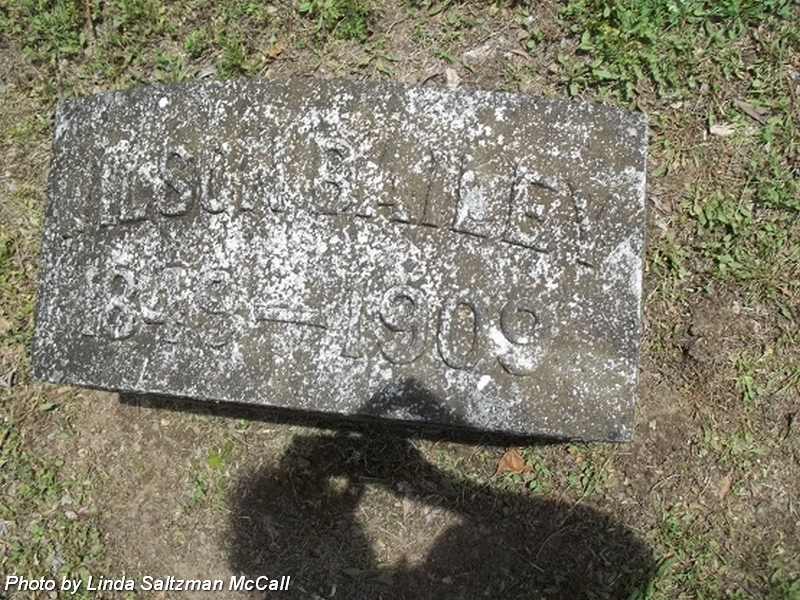 Husband of Martha Ann (Fitzgerald) Bailey, 1st, married 7 Dec 1854; and Matilda F Bailey, 2nd. nee Fitzgerald. First wife of Larkin Bailey. Married 7 Dec 1854. 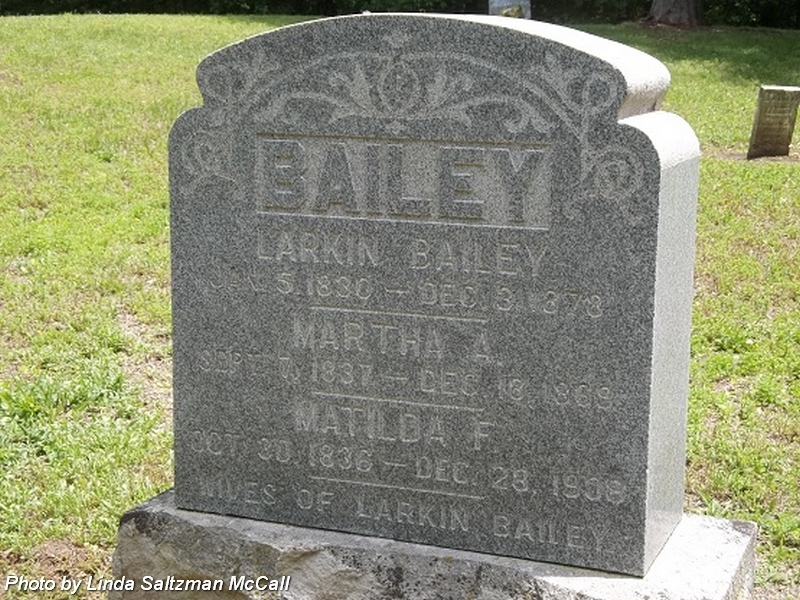 Second wife of Larkin Bailey. nee Stallings. 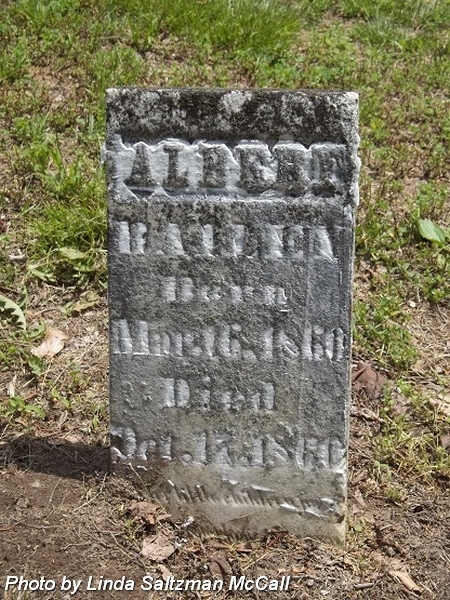 Wife of Benjamin M Bailey. Married 28 Dec 1865. Daughter of William & Mary Stallings. nee Miller. 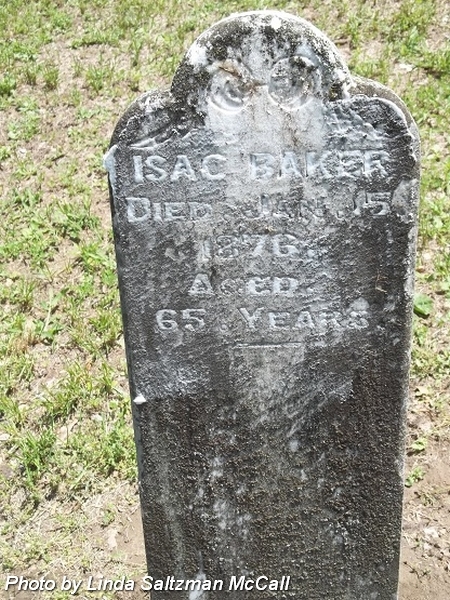 Wife of Isaac Baker. Married 2 Dec 1847. Aged: 38 yrs. 2 mo. 12 da. 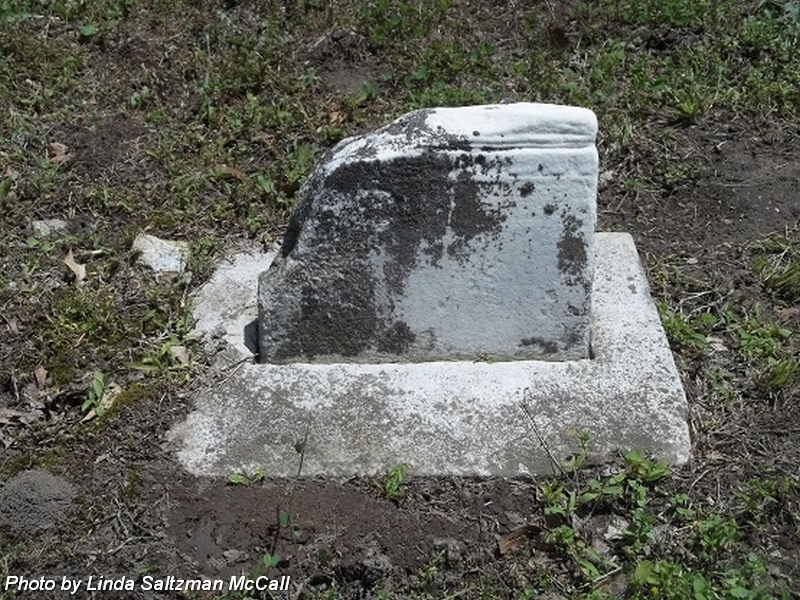 Note: "Top of stone missing in 2011, information from Posey County Cem. Records 1814-1979 by Carroll O Cox." 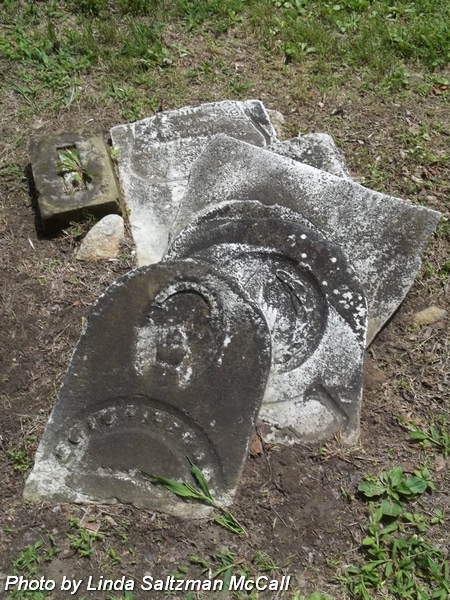 Husband of Caroline (Miller Baker. Married 2 Dec 1847.
nee Neff. 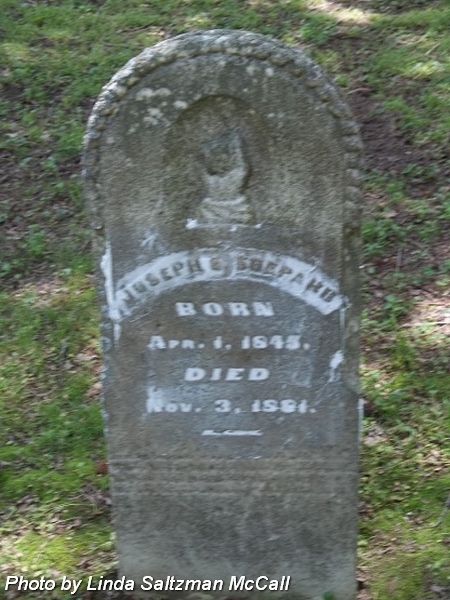 Wife of Joseph E "Joe" Shepard, 1st, married 18 Nov 1869; and Charles Benton, 2nd, married 11 Aug 1889. 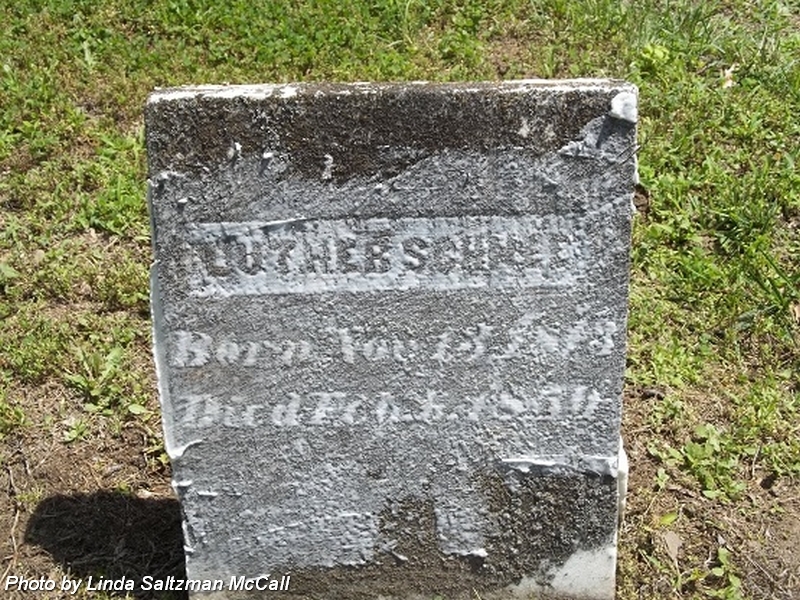 Daughter of Joseph & Barbara (Stover) Neff. nee Shephard. 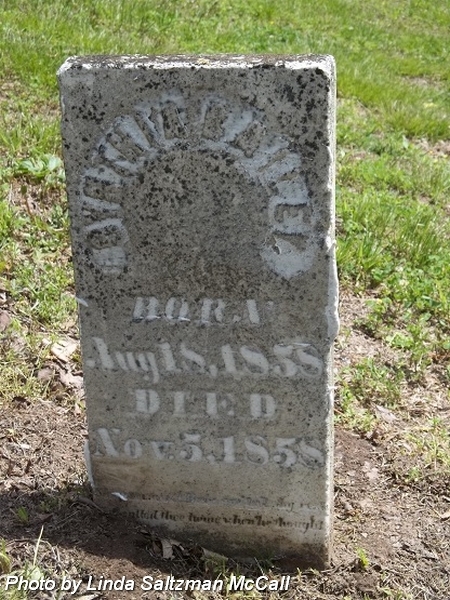 Wife of David Bluff. Married 26 Aug 1897. 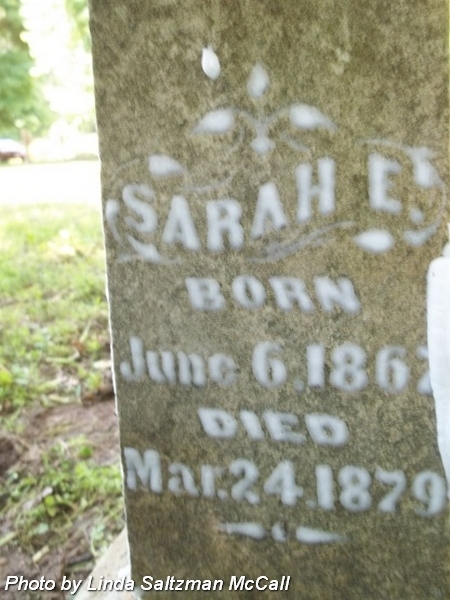 Daughter of Joseph E "Joe" & Mary (Neff) Shephard. Husband of Leony (Damon) Creek, married 29 Jun 1850. Son of Richmond & Nancy (Slaven) Creek. Pvt., Co. C, 60th Indiana Infantry. Enlisted in Company C on 7 Mar 1862. 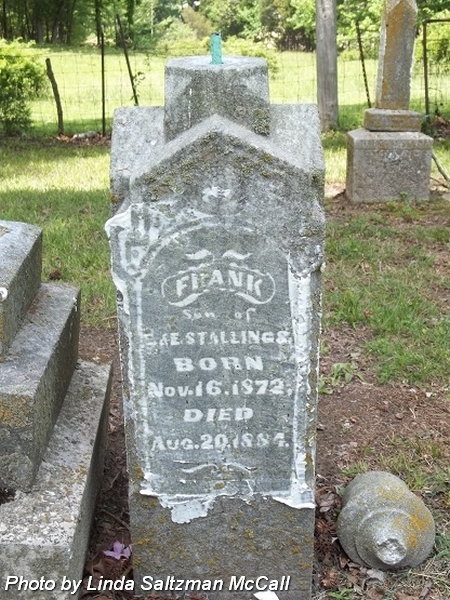 Mustered out on 12 Aug 1862.
nee Hanning. 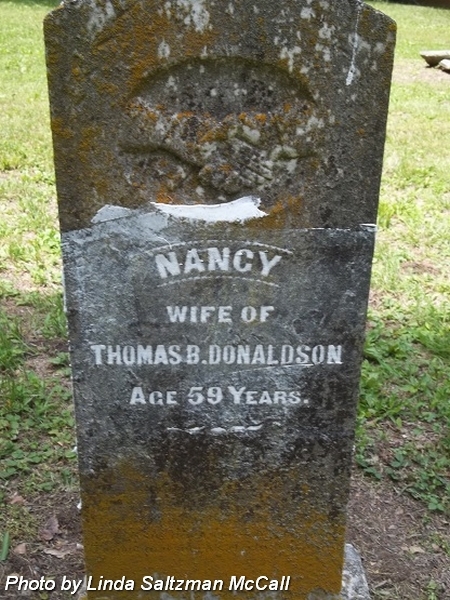 Wife of Thomas B Donaldson. Married 19 Sep 1847. Note: Date of death from County Health Dept. Records. Book H-2:13. Husband of Nancy (Hanning) Donaldson. Married 19 Sep 1847. Aged: 35 y's 11 m's. 19 ds. 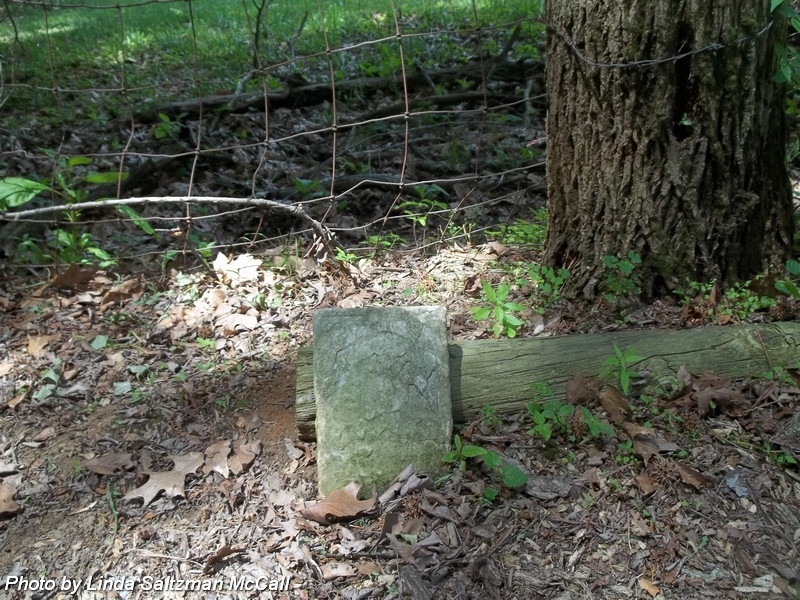 Note: Top part of stone is missing. Possibly daughter of Stephen & Fanny Fitzgerald. Son of Stephen & Serepta (Price) Fitzgerald. Daughter of Stephen & Serepta (Price) Fitzgerald. Husband of Serepta (Price) Fitzgerald. 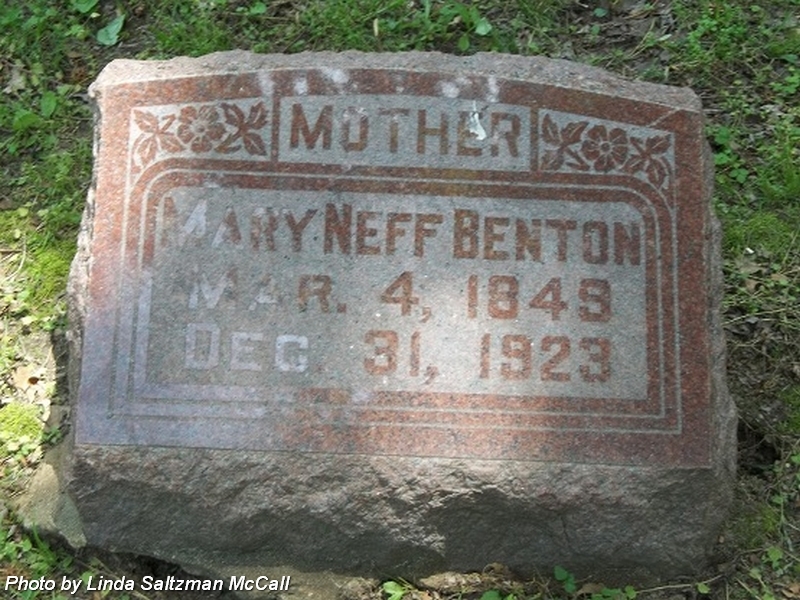 Married 29 Jun 1871 in White County, Illinois. Son of Stephen & Fanny Fitzgerald. 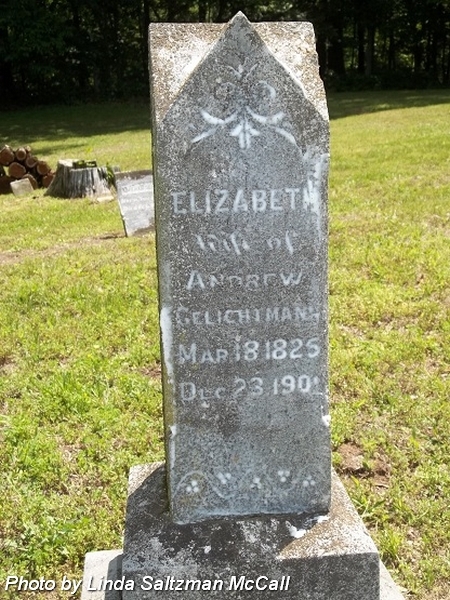 Son of Andrew & Elizabeth Gelitchmann. 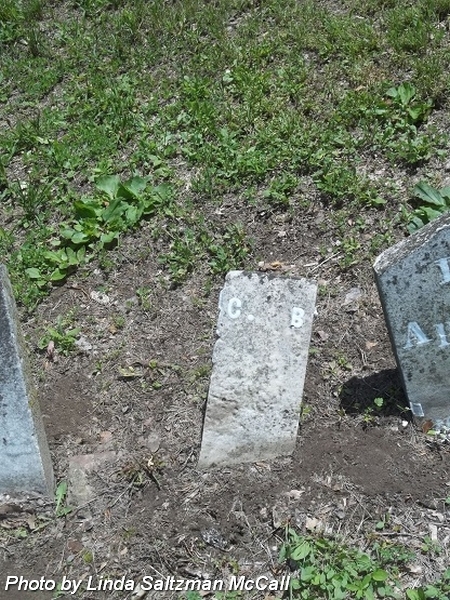 Co. K, 10th Regiment, Indiana Calvary. Enlisted 6 Mar 1864. Mustered out 31 Aug 1865. Note: His name on the Regimental roster is: "Glichman, Lowery." His brother William was in the same unit, with the same service dates; discharged as "Chief Bugler." nee Shephard. 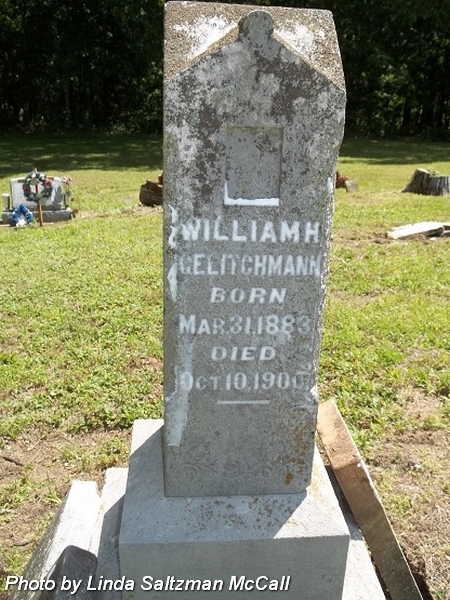 Wife of Gilbert Gilham. 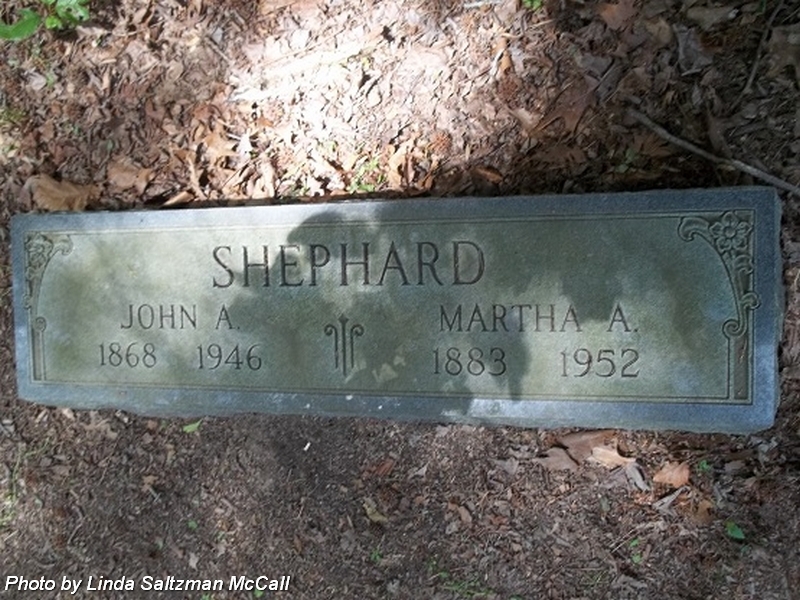 Daughter of John Alexander & Martha Ann (Stewart) Shephard. 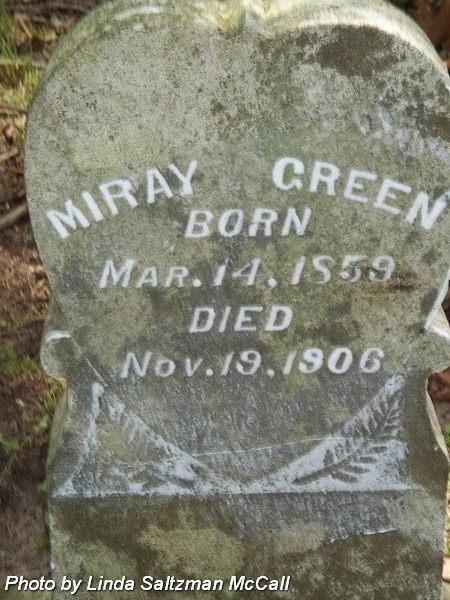 Wife of McIntyre, 1st; and George W Green, 2nd, married 28 Nov 1886. 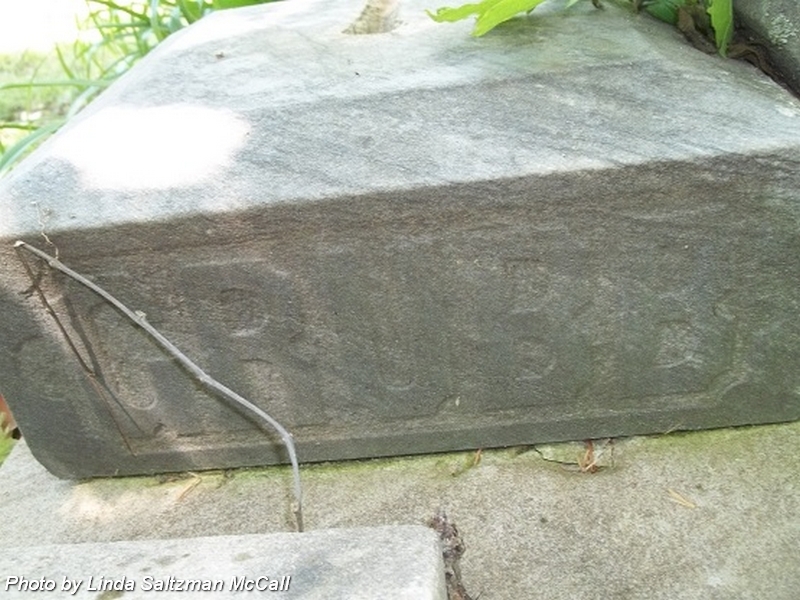 Daughter of John A & Harriett L (Pendleton) Grubb. nee Pendleton. 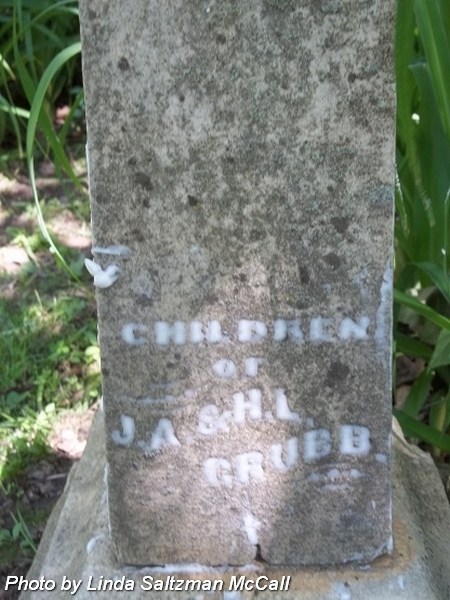 Wife of John A Grubb. Married 25 May 1965.
nee Edwards. Wife of Thomas K Hardy. Married 2 Aug 1828 in Beaufort County, North Carolina. Daughter of Elial & Sinah (Hill) Edwards. 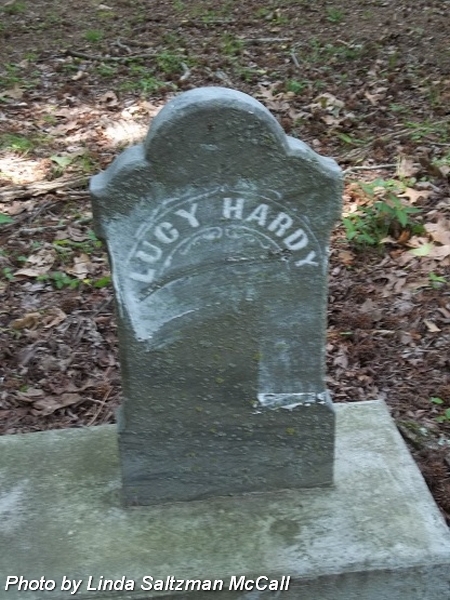 Husband of Lucinda Clements "Lucy" (Edwards) Hardy. Married 2 Aug 1828 in Beaufort, North Carolina. 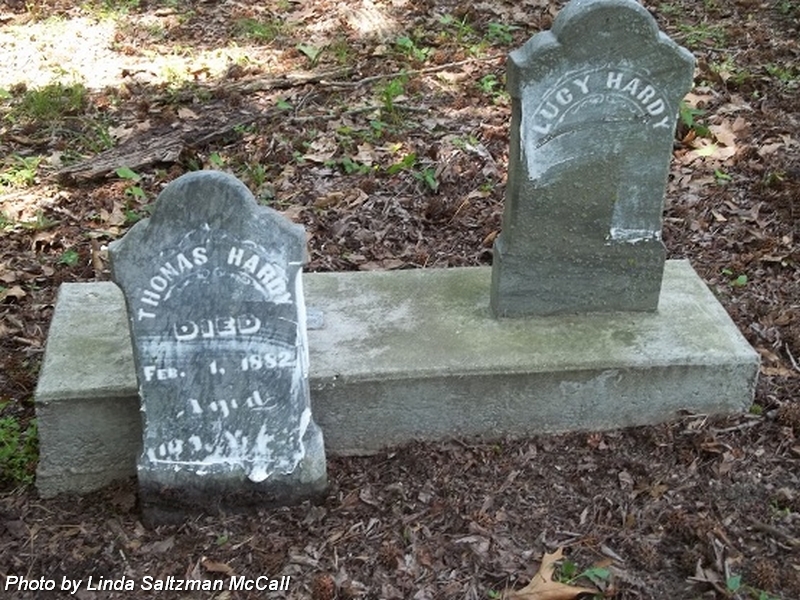 Son of Lemuel & Mary Elizabeth (Suttton) Hardy. 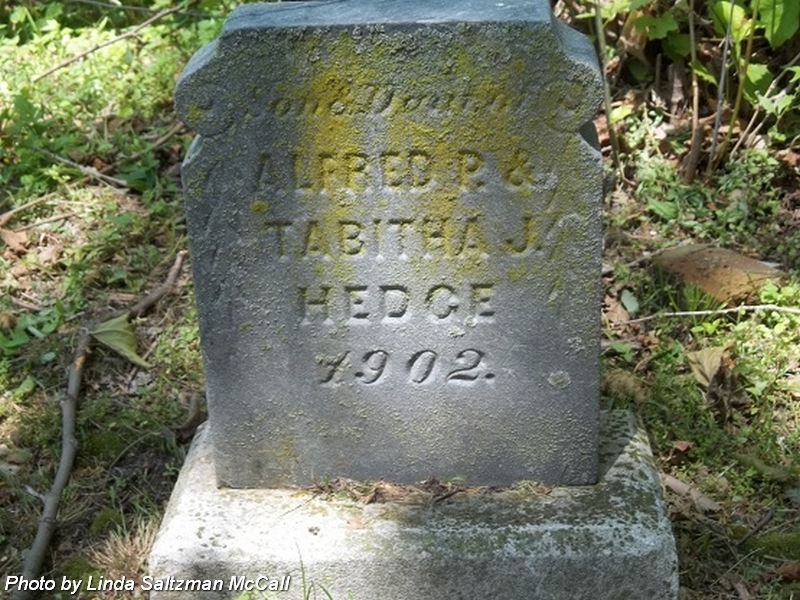 Son of Alfred P & Tabitha J (Bosh or Bush) Hedge. 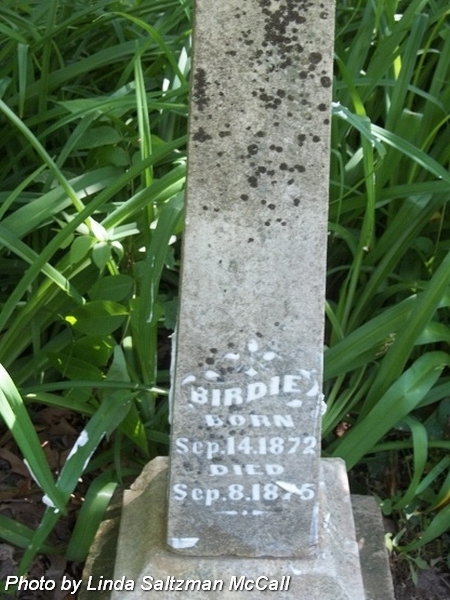 Note: Buried 26 Jul 1904. Dates from County Health Dept. records. 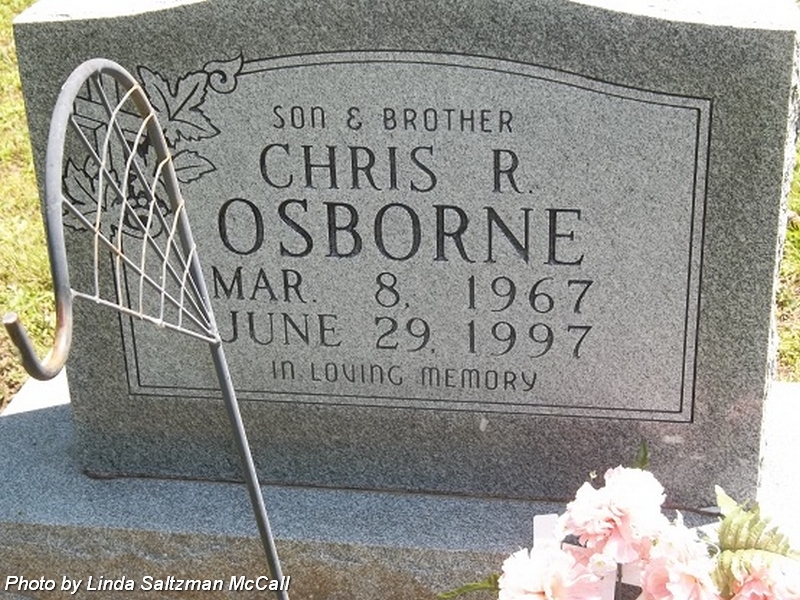 Husband of Kimberly Ann (Osborne) Hoehn. Son of Paul & Gloria Vivian (Green) Hoehn, Jr.
First husband of Elizabeth (Williamson) James Logan. Married 7 Mar 1866. 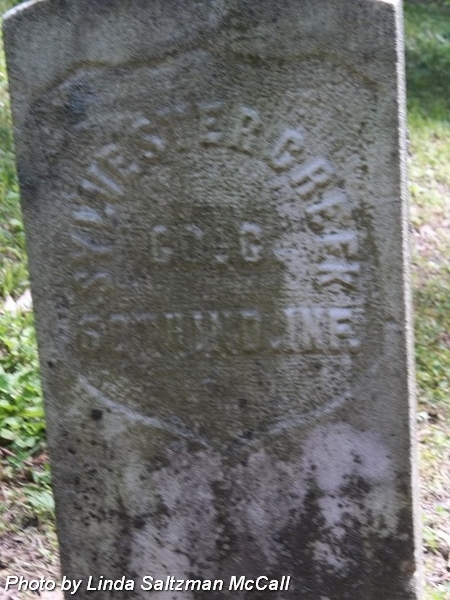 Pvt., Co. C, 28th Reg., 1st Indiana Calvary. nee Randolph. 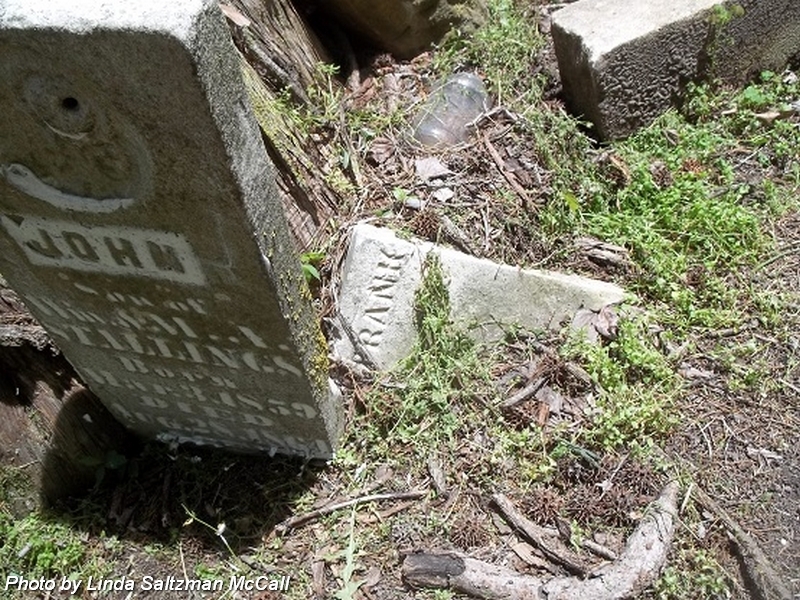 Wife of William J Johnson. Married 16 Oct 1884. Daughter of Thompson & Rebecca B Randolph. Husband of Elizabeth A Johnson. Son of Elias & Sarah Johnson. Pvt. Co. A, 38th Reg. Indiana Infantry. Enrolled at Evansville, Indiana on 12 Nov 1864. Mustered out June 1865. 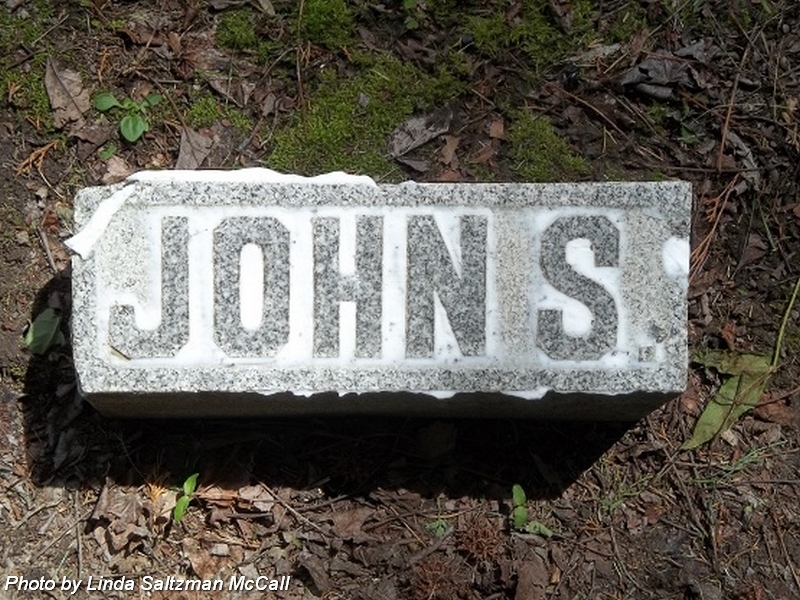 Husband of Mary (Stallings) Johnson. 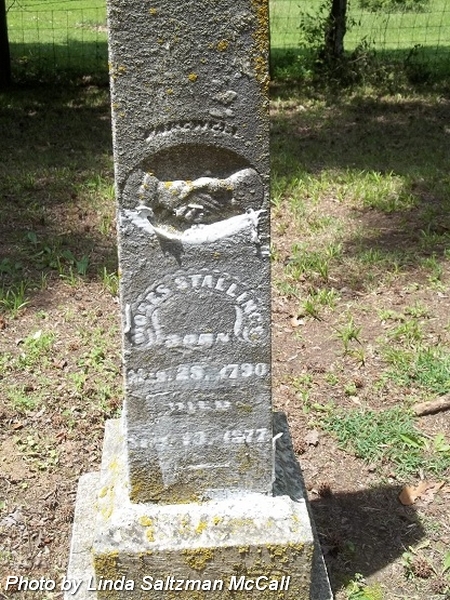 Married 3 Feb 1848.
nee Stallings. 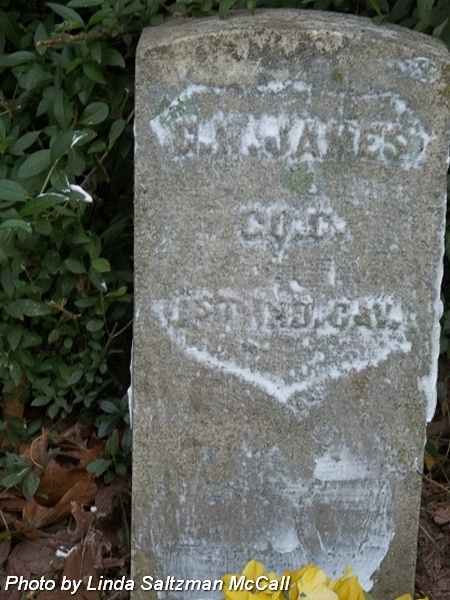 Wife of James N Johnson, married 3 Feb 1848. 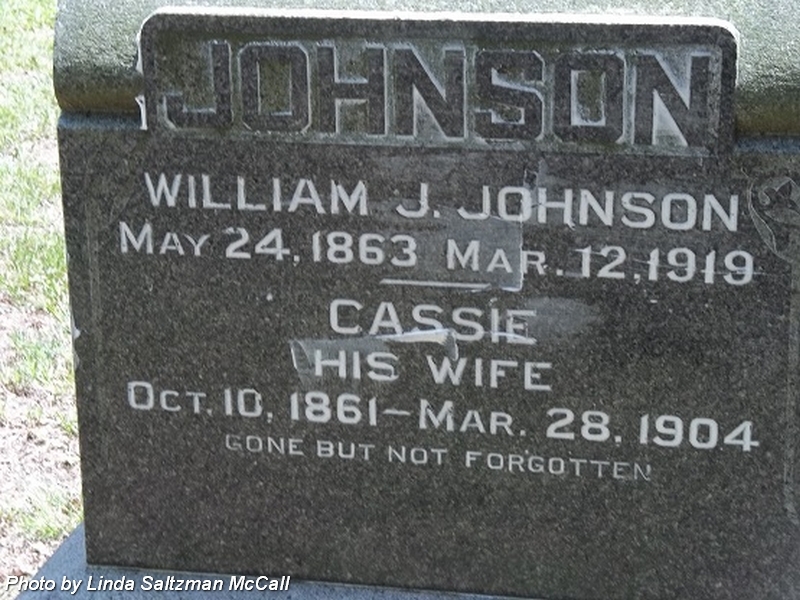 Son of William & Cassandra "Cassie" (Randolph) Johnson. 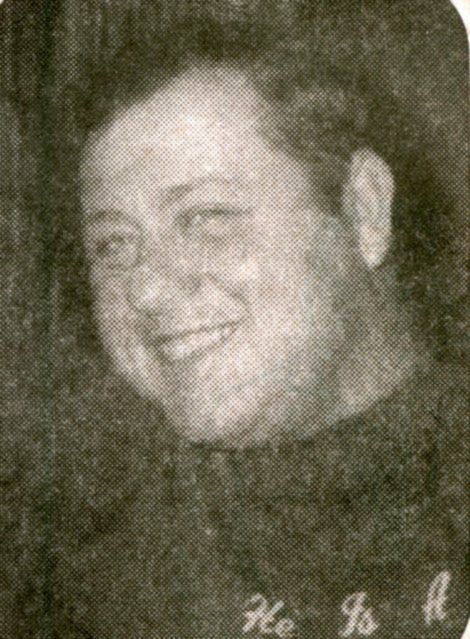 Husband of Cassandra "Cassie" (Randolph) Johnson. Married 16 Oct 1884. 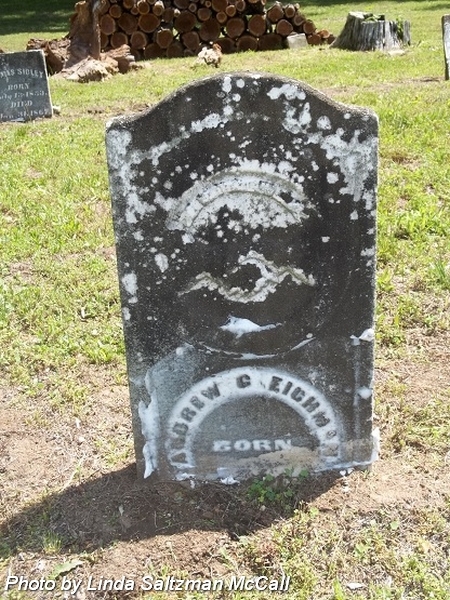 Son of Elias & Elizabeth A Johnson. 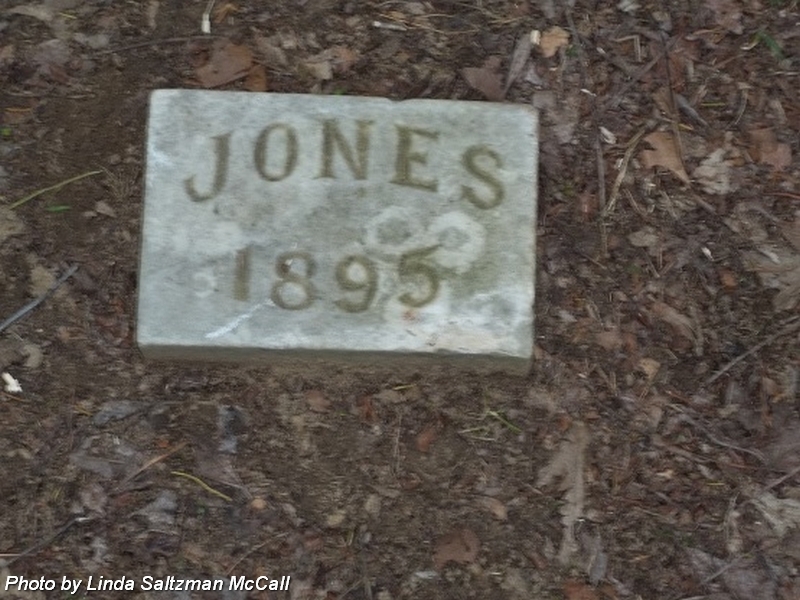 Husband of Mary Jane (Conner) Jones. Married 25 Jul 1857. He, his father and mother were born in Scotland. Note: Some Information from Health Dept. records. nee Cross. 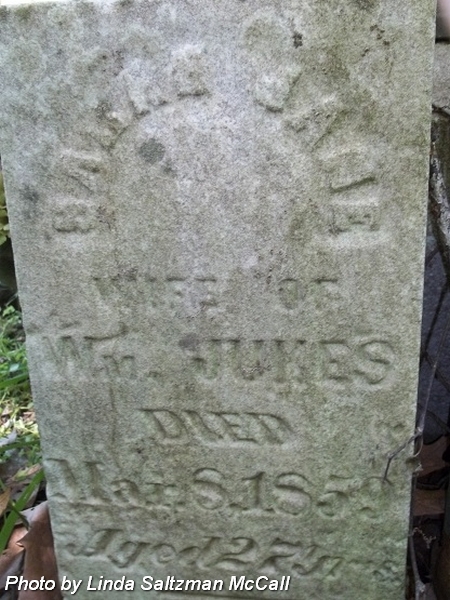 Wife of William Jukes. Married 16 Nov 1852. Daughter of James & Mary "Polly" (Lea) Cross. nee Shepard. Wife of Lee Hiram Knowles. Married 1 Oct 1893. Daughter of Joseph & Mary Shepard. Daughter of Lee Hiram & Cora Esther (Shepard) Knowles. Son of Lee Hiram & Cora Esther (Shepard) Knowles. 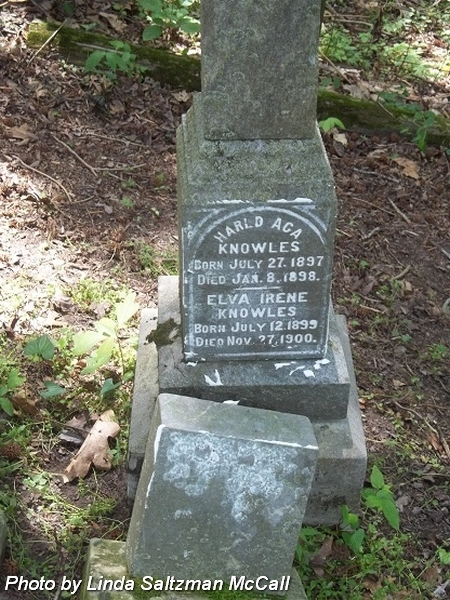 Husband of Abigal (Herron) Lance, 1st, married 20 Mar 1870; and Tabitha (Walker) Lance, 2nd, married 18 Sep 1887. Son of Killian "Kelian" & Rebecca Lance, birthplace: Pennsylvania. Pvt., Co. A, 91st Indiana Infantry. 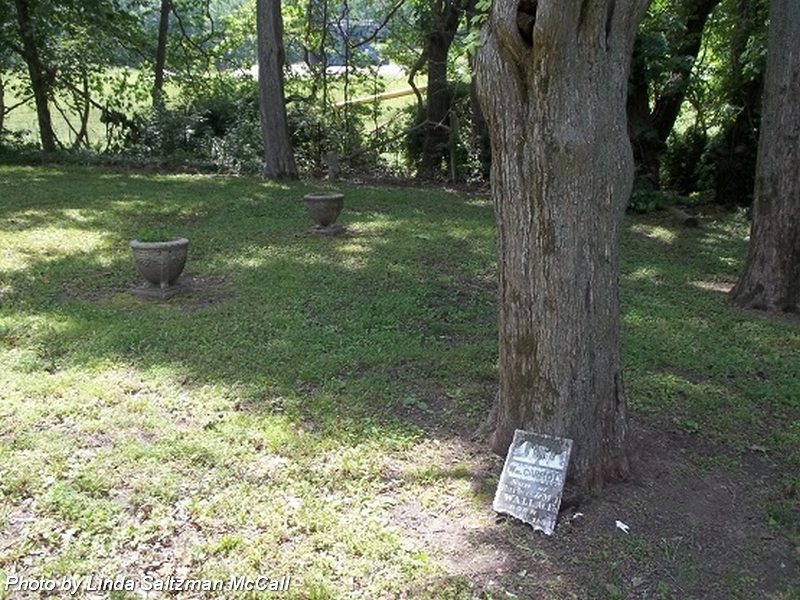 Enrolled at New Harmony, Indiana on 10 Aug 1862. Age: 23. 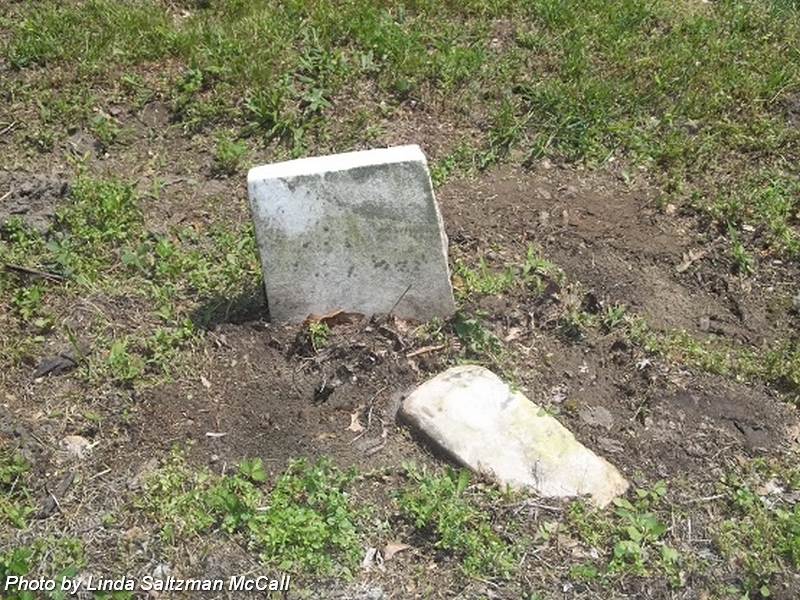 Note: Headstone application indicates burial at Maple Hill Cemetery in New Harmony, however, there is no headstone found there for him. Husband of Nancy (Elder) Moore. 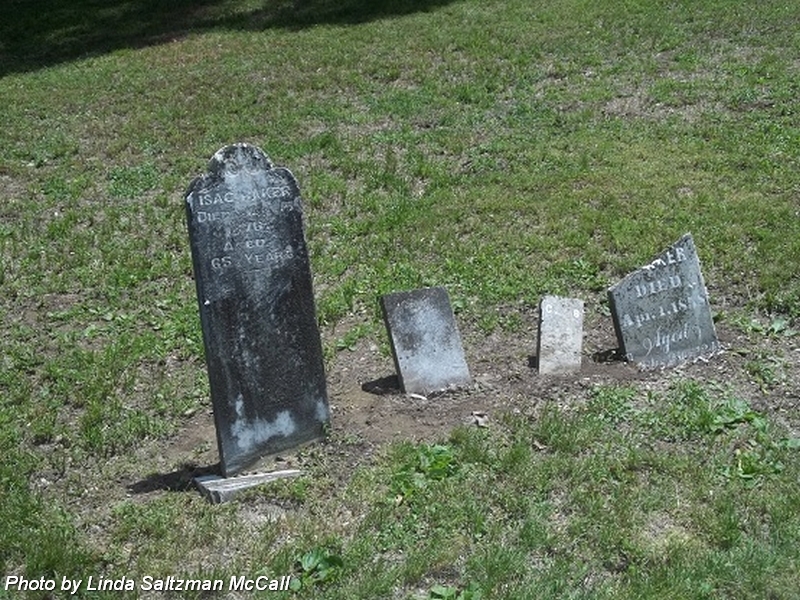 Married 4 Dec 1886, 1st; Mary Overman Moore, 2nd, married 21 Feb 1889; and Nancy J Hayes Moore, 3rd, married 29 Jun 1893. 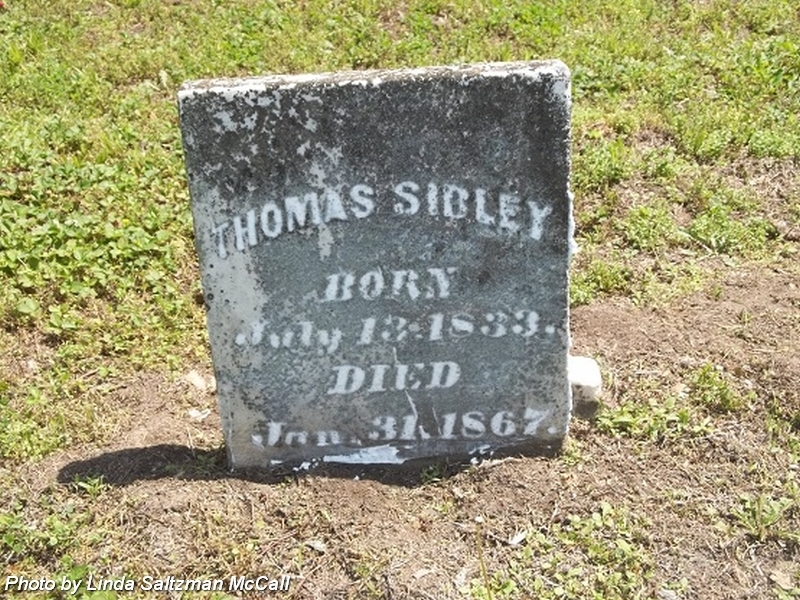 Son of John W & Phoebe C (Wells) Moore. Son of John & Nancy Ann (Jolly) O'Dell. 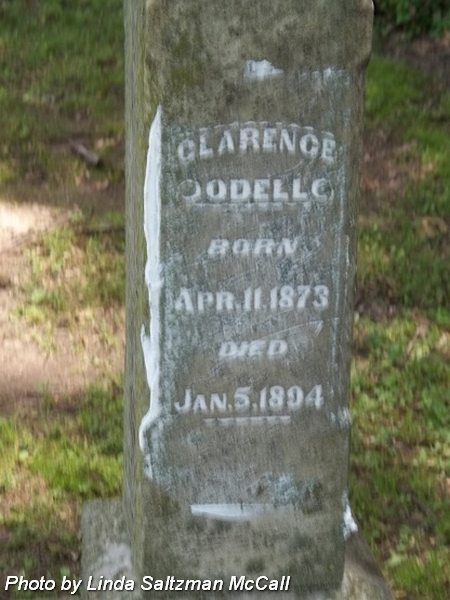 Husband of Nancy Ann (Jolly) O'Dell. 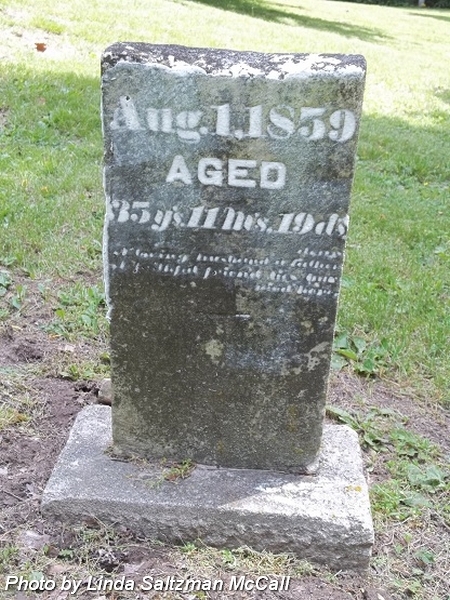 Married 6 Sep 1867. Enlisted in Company D, on 20 Aug 1862. Mustered out on 26 Jun 1865 at Salisbury, North Carolina. 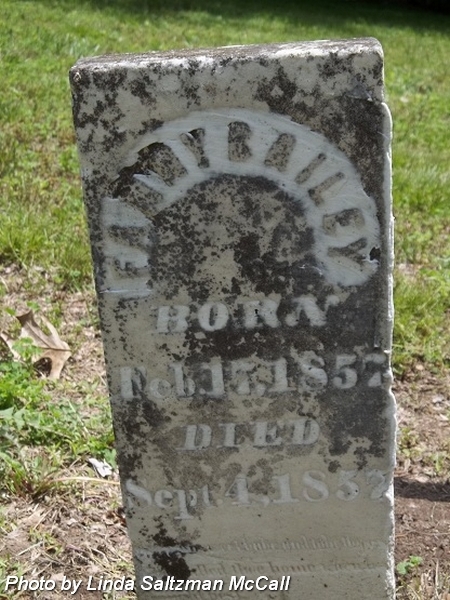 Wife of William H O'Dell. 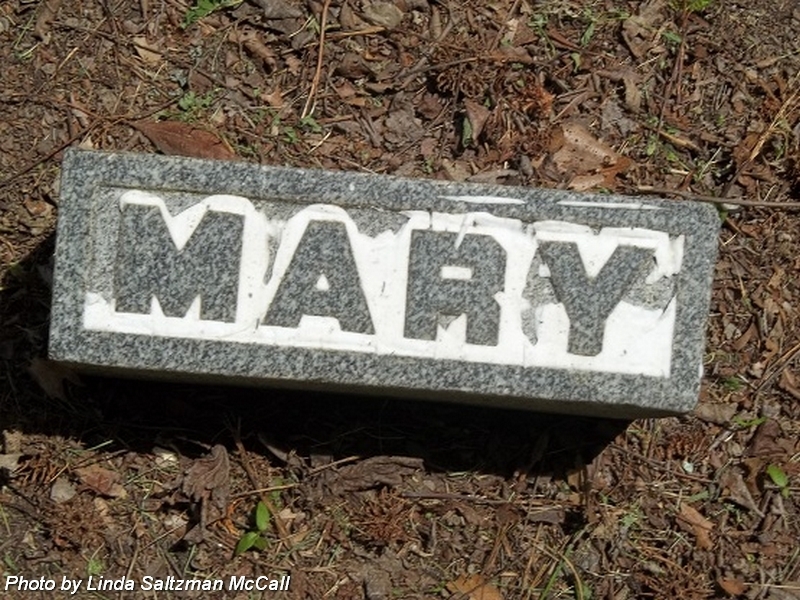 Husband of Mary Ann O"Dell. 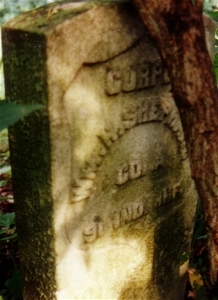 Corporal., Co. A, 91st Indiana Infantry. 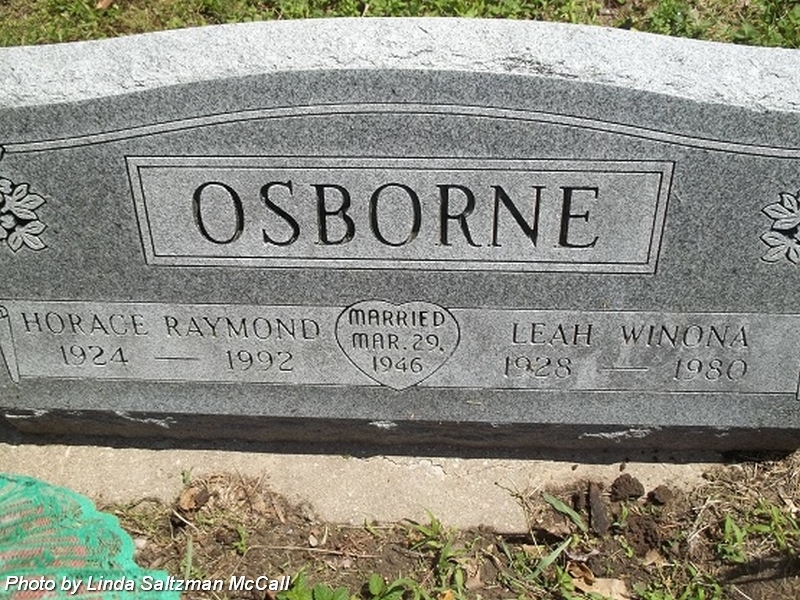 Son of Horace Raymond "Ray" & Leah Winona Osborne. nee Gerrow. 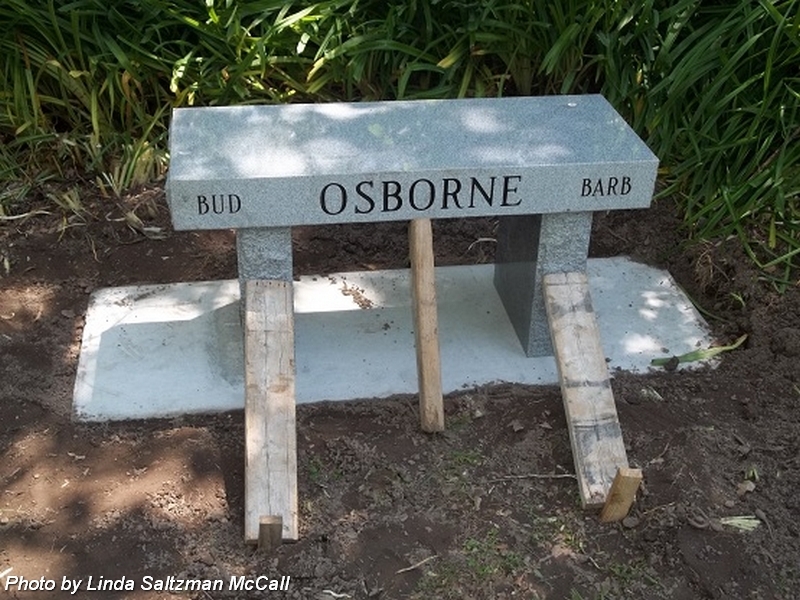 Wife of Howard J "Bud" Osborne. Daughter of Frank & Margaret (Pallison) Gerrow. nee Harvey. 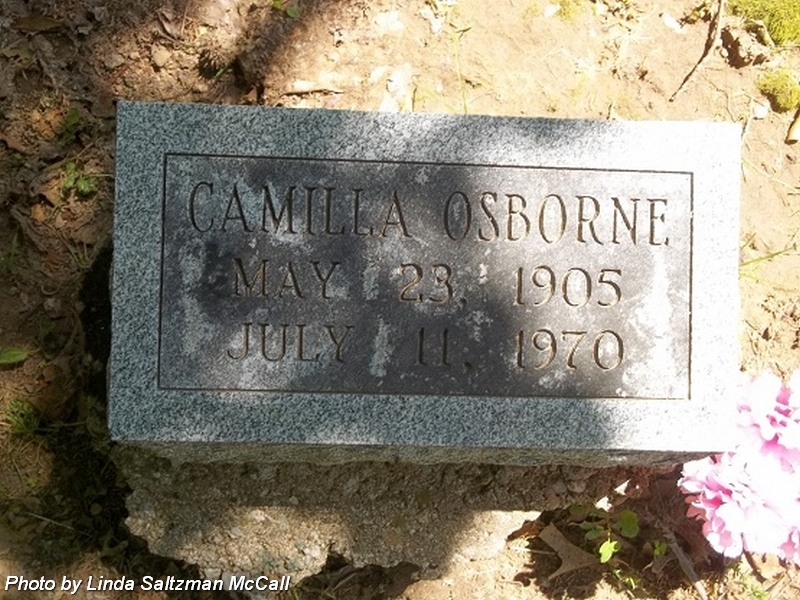 Wife of William Osborne. 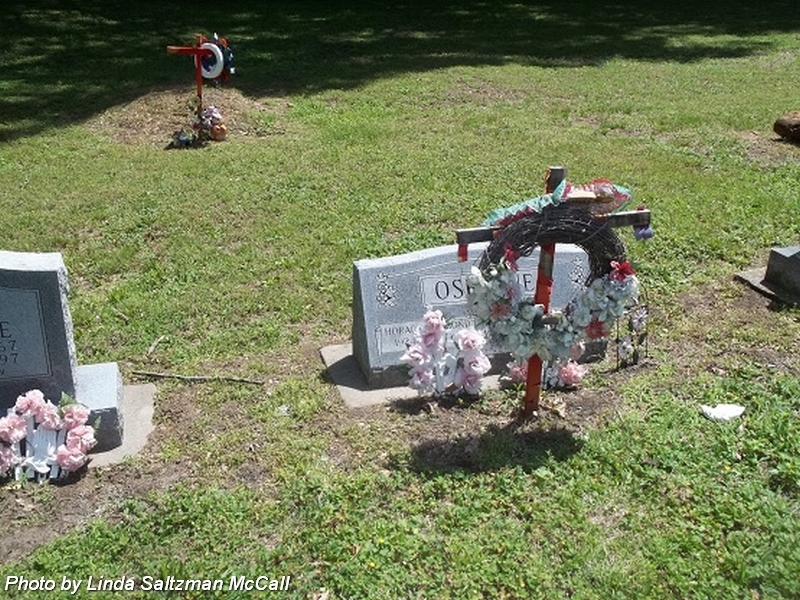 Son of Terry Osborne & Betsy Sanders. nee Garrett. Wife of George Osborne. 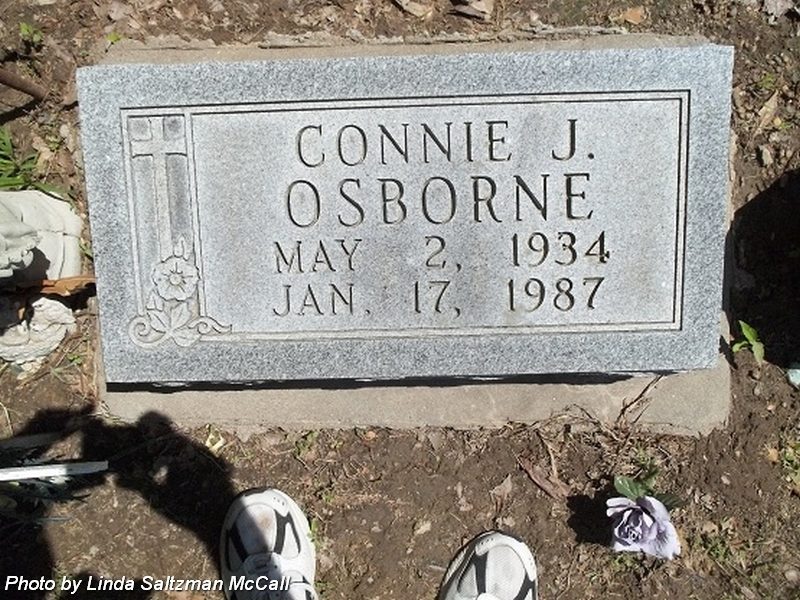 Husband of Connie Joyce Osborne, 1st; and Irene F Osborne, 2nd. Husband of Leah Winoa Osborne. Married 29 Mar 1946. Son of William A & Camilla P (Harvey) Osborne. Husband of Barbara "Barb" (Gerrow) Osborne. 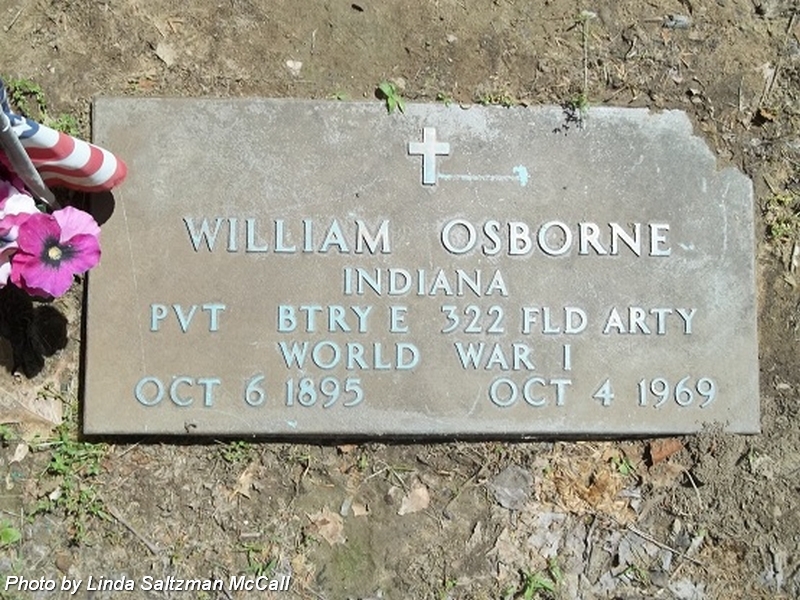 Son of William & Camilia P (Harvey) Osborne. Cpl. US Army, WW II. 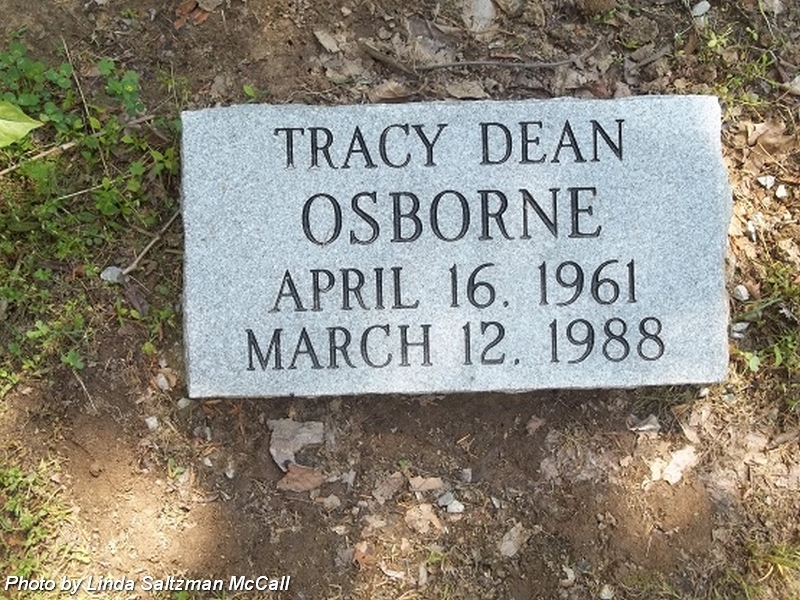 Wife of Horace Raymond "Ray" Osborne. Married 29 Mar 1946. 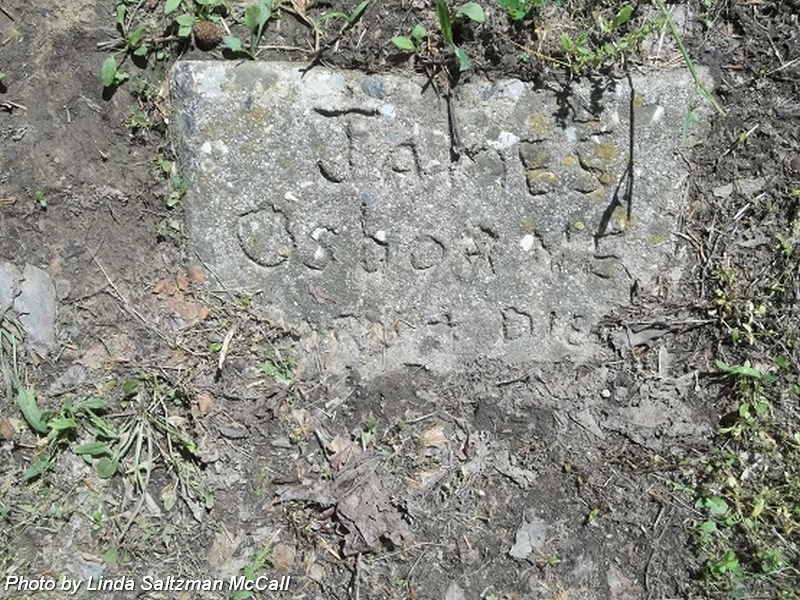 Husband of Susan (Smith) Osborne. 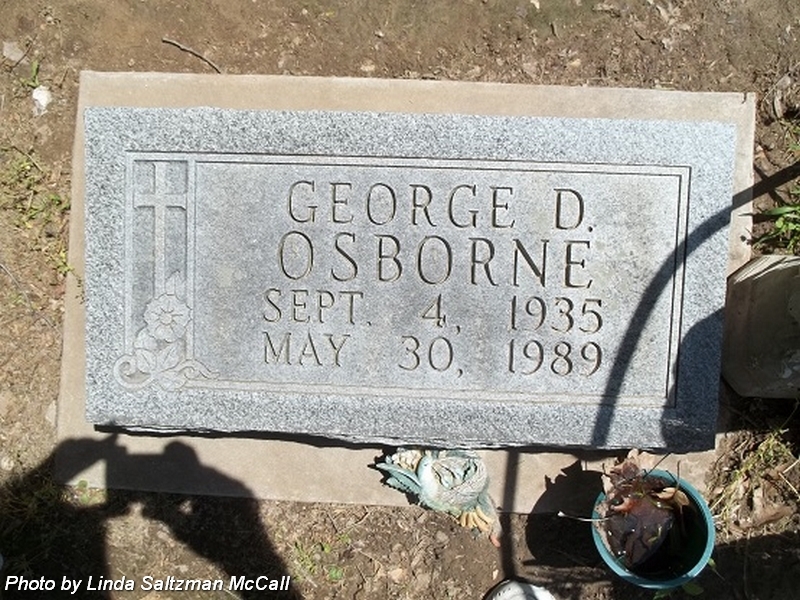 Son of Horace Raymond & Camilla P (Harvey) Osborne. 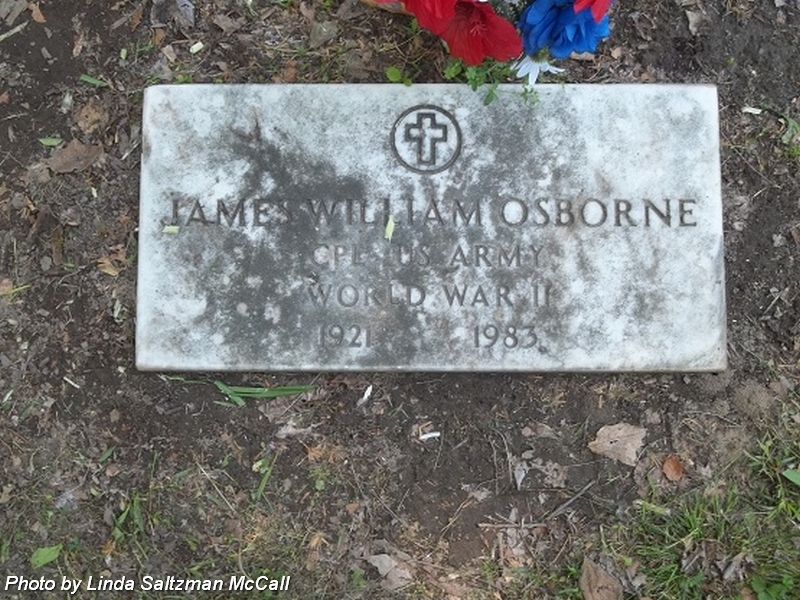 Son of James William & Bernice Osborne. 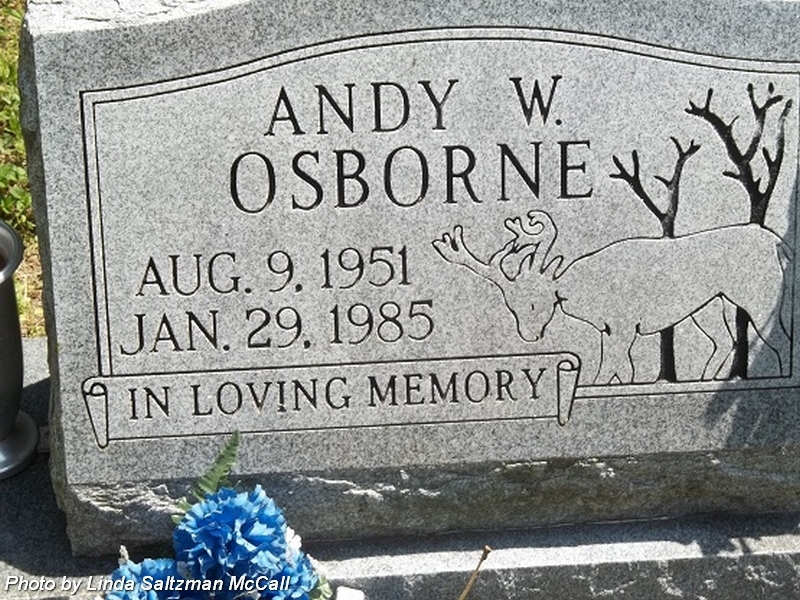 Husband of Camilla P (Harvey) Osborne. Indiana, Pvt., Btry. E, 322 Fld. Arty., WW I.
nee Johnson. 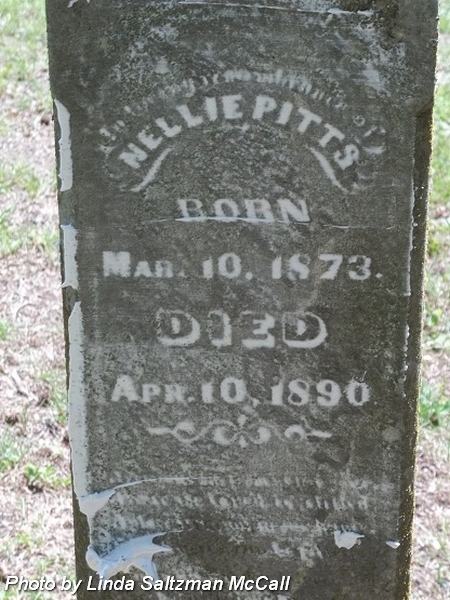 Wife of Joseph Pitts. Married 4 Apr 1872. 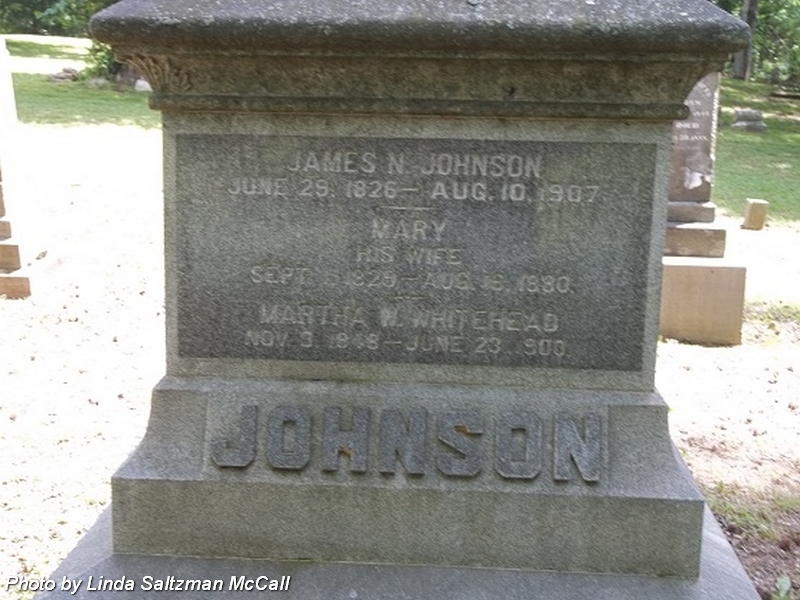 Daughter of James & Mary Johnson. Aged: 32 y's. 11 M's. 21 d's. 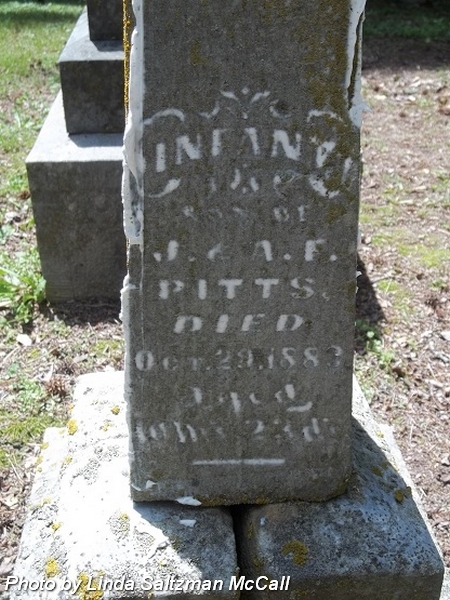 Infant son of Joseph & Adelia F (Johnson) Pitts. Aged: 10 M's. 23 d's. 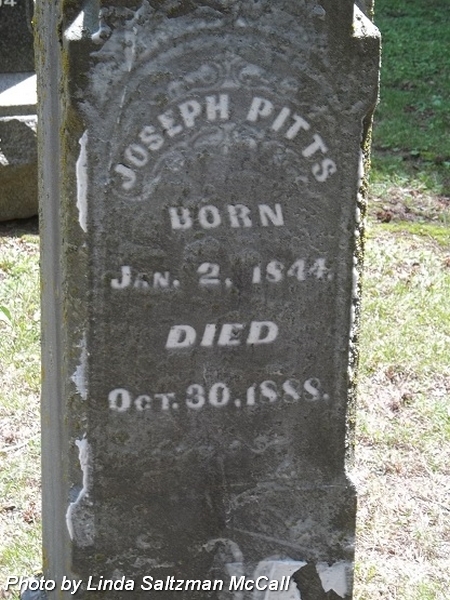 Husband of Adelia F (Johnson) Pitts. Married 4 Apr 1872. 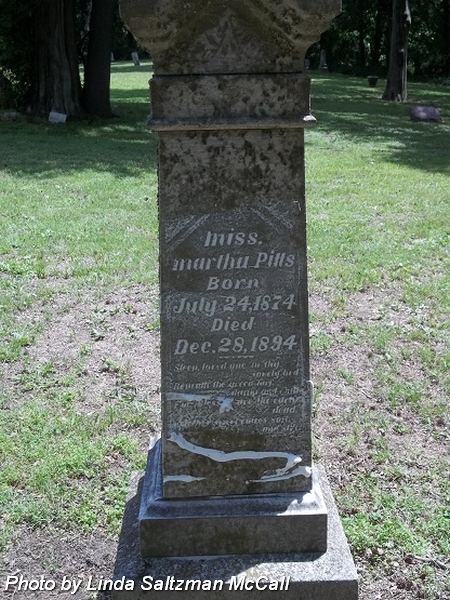 Son of Alvis & Mary C Pitts. 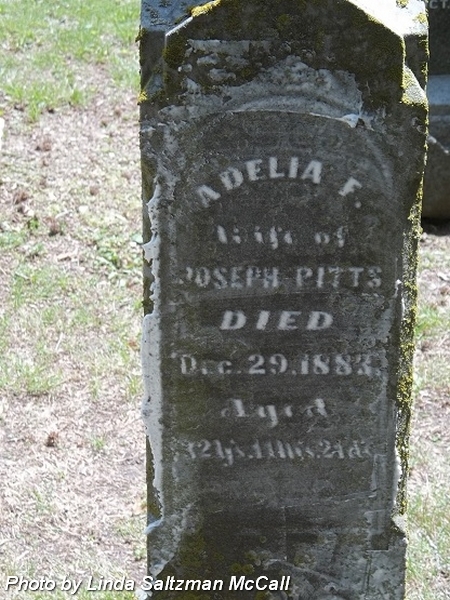 Daughter of Joseph & Adelia F (Johnson) Pitts. 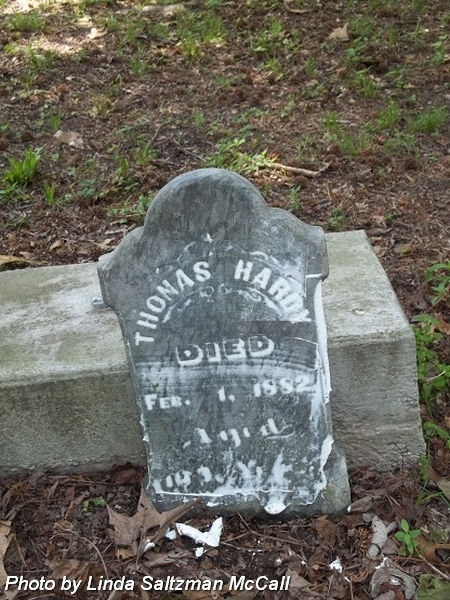 Husband of Catharine (Krebs) Schnee. Daughter of Michael & Margaret (Fordney) Krebs/Kreps. Daughter of William Henry & Mary Ellen (Endicott) Schnee. Son of Johannes & Anna Maria (Stohr) Schnee. 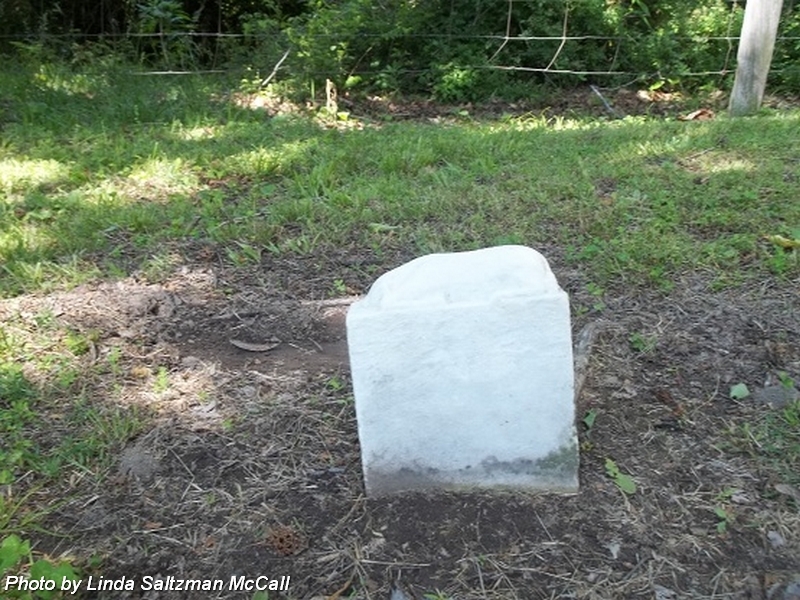 Husband of Elizabeth Caroline (White) Schnee. Married 1 Apr 1841. 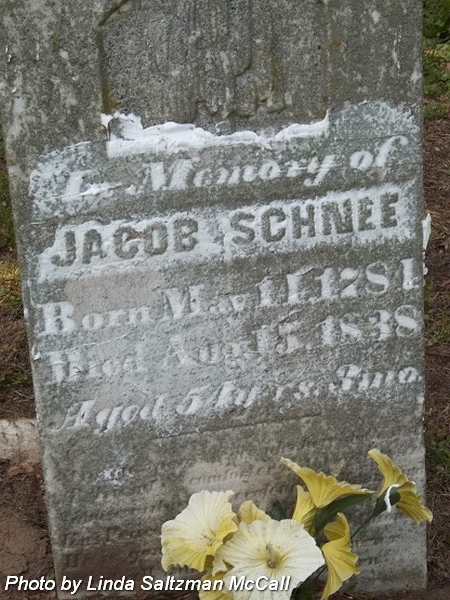 Son of Jacob & Catharine (Krebs) Schnee. Son of Perry & Nancy Jane (Hungate) Shepard. Son of James & Amanda (Grant) Shephard. 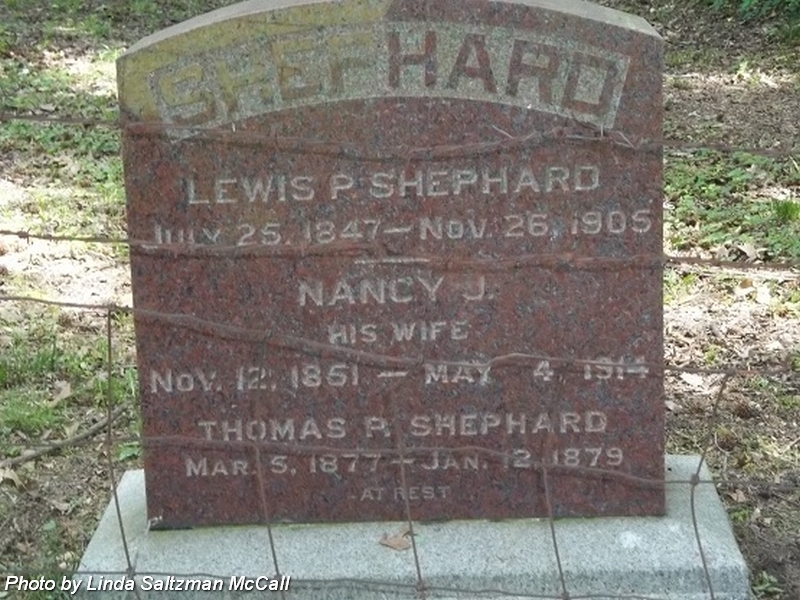 Husband of Nancy (Davis) Shephard. Married 28 Dec 1837. 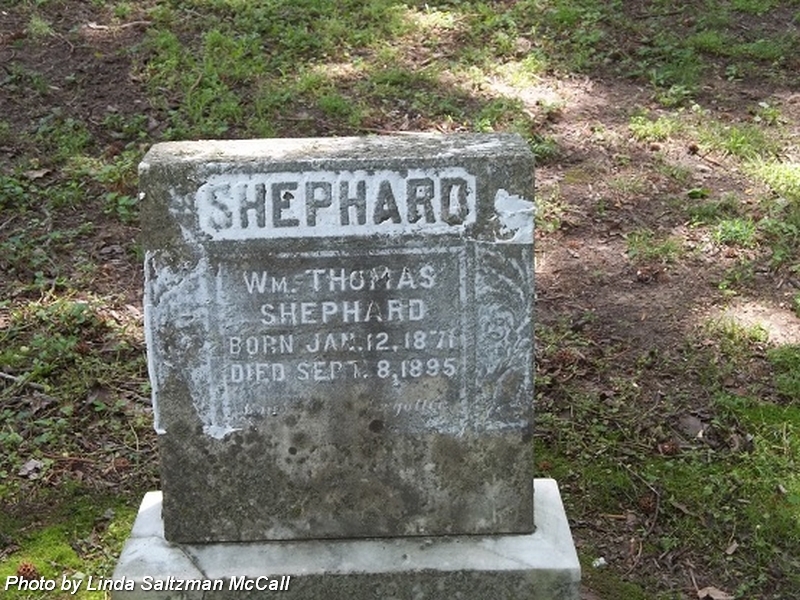 Husband of Martha A (Stuart) Shephard. Married 21 Dec 1901. Son of Perry & ? (Hunget) Shephard. First husband of Mary (Neff) Shephard Benton. Married 18 Nov 1869. 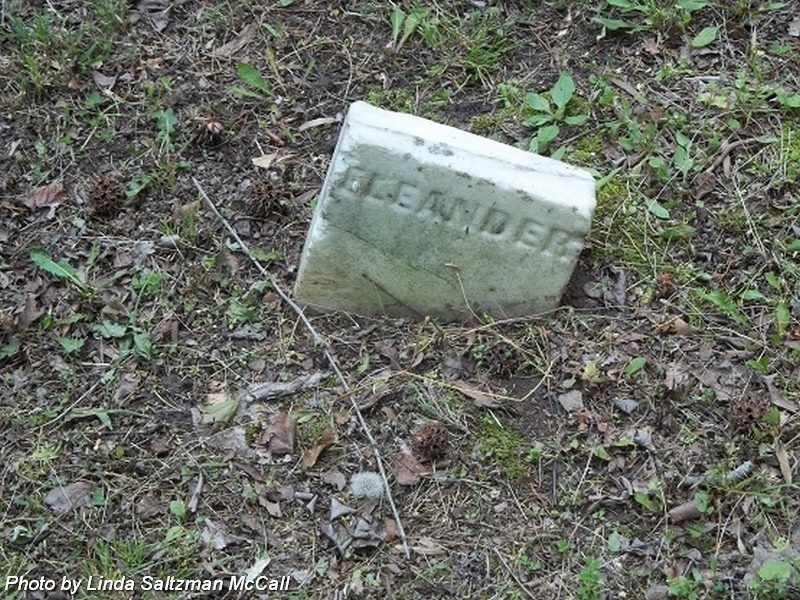 Husband of Nancy J (Hungate) Shephard. Married 26 Feb 1868.
nee Stuart. 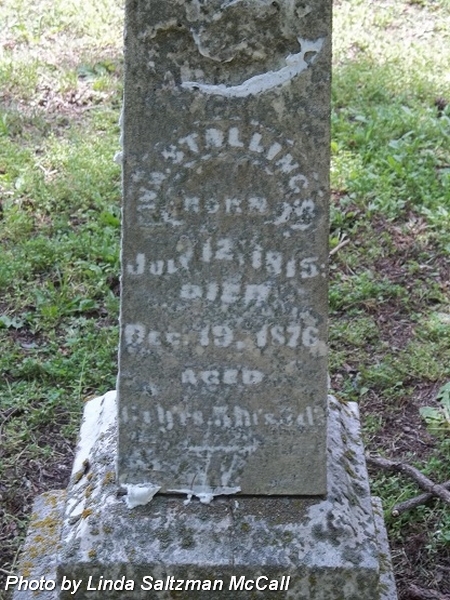 Wife of John Alexander Shephard, Sr. Married 21 Dec 1901.
nee Downs. 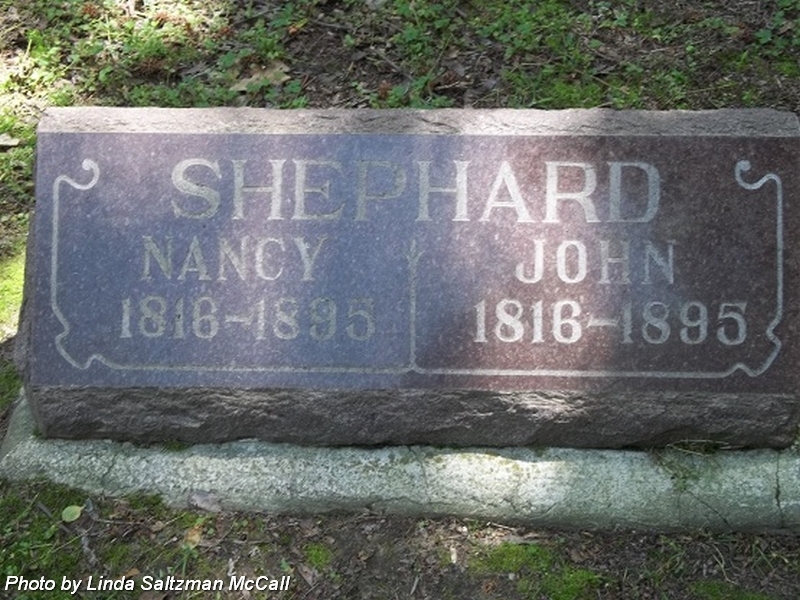 Wife of John Shephard. Married 28 Dec 1837.
nee Hungate. 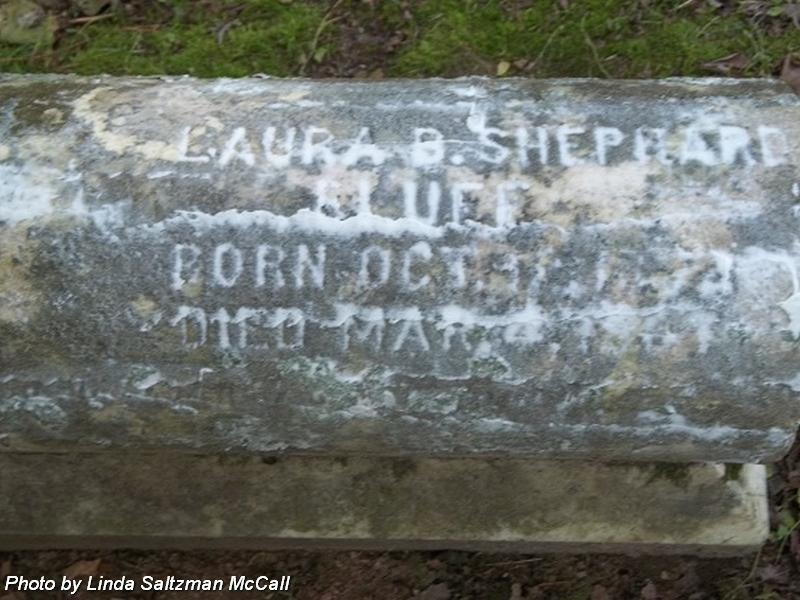 Wife of Lewis P Shephard. Married 26 Feb 1868. 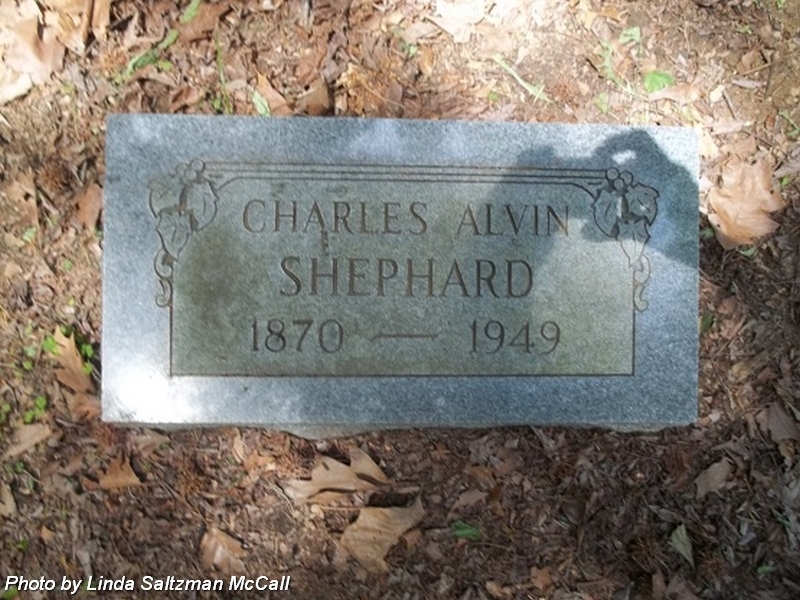 Wife of Charles Alvin Shepard. nee McIntire. 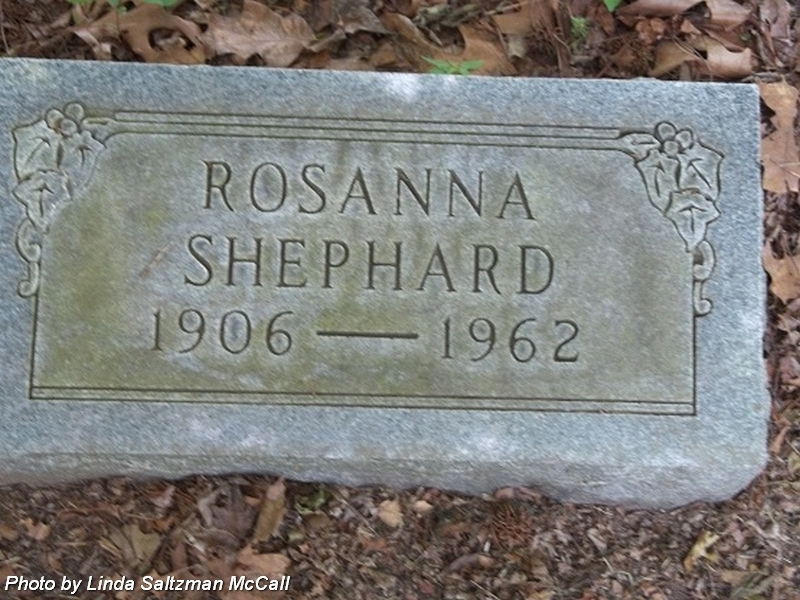 First wife of William H Shephard. 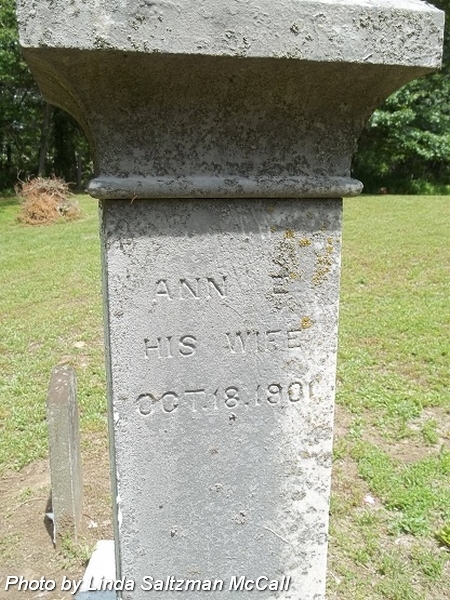 Married 1 Jan 1860. 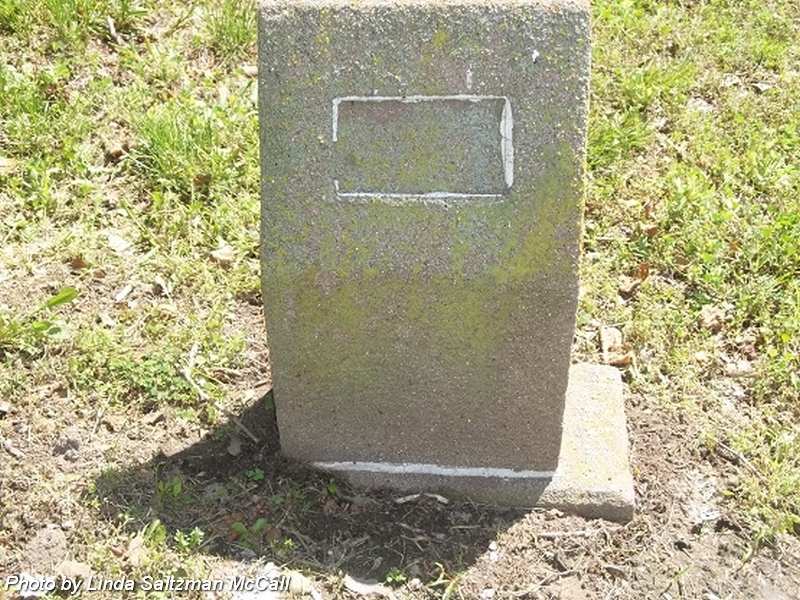 Son of Lewis P & Nancy J (Hungate) Shephard. 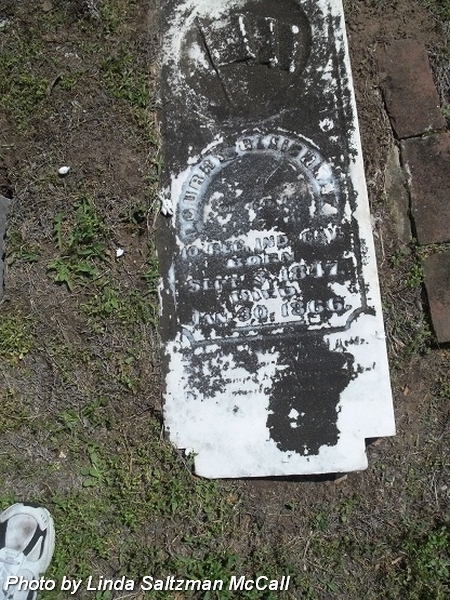 Husband of Sarinda "Rinda" (McIntire) Shephard, 1st, married 1 Jan 1860; and Emma R Black Shephard, 2nd, married 3 Dec 1904. Son of John & Nancy (Downs) Shephard. Corpl., Co. A, 91st Indiana Infantry. Enlisted on 10 Aug 1862. Promoted to Full Corporal. Mustered out on 26 Jun 1865 at Salisbury, North Carolina. Note: His Posey County marriage record in 1904 has his mother's maiden name trascribed as "Davis." 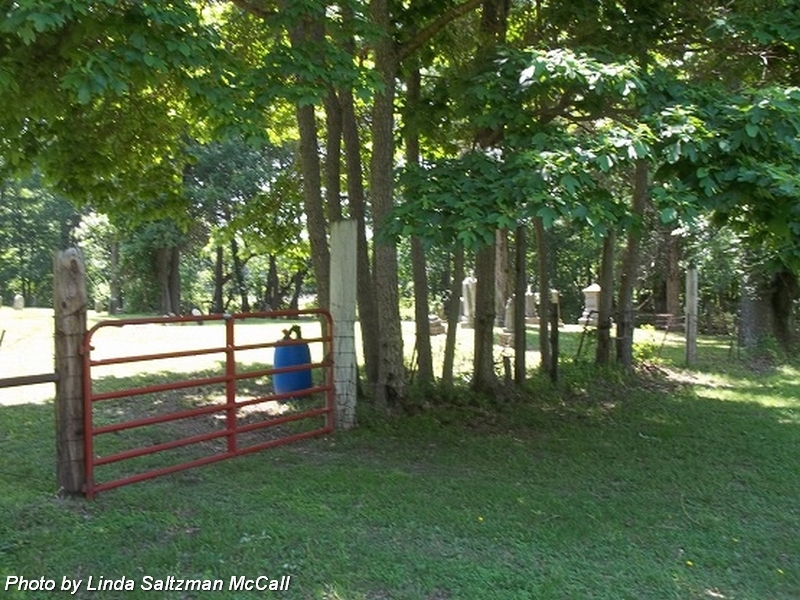 Photo posted to Find-A-Grave by Brenda Meier on 4 May 2009. 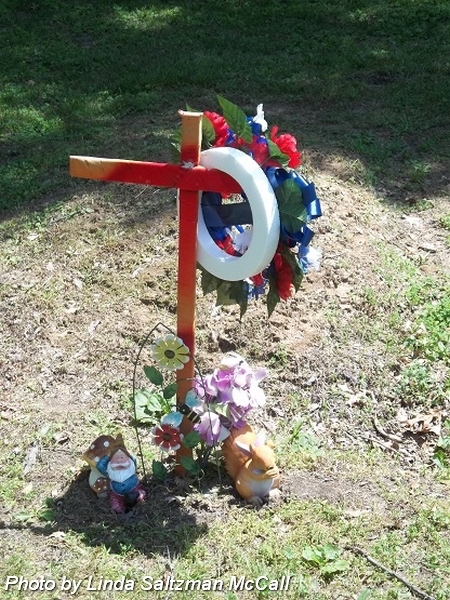 Headstone not found 29 May 2011. Husband of Elizabeth Schnee. 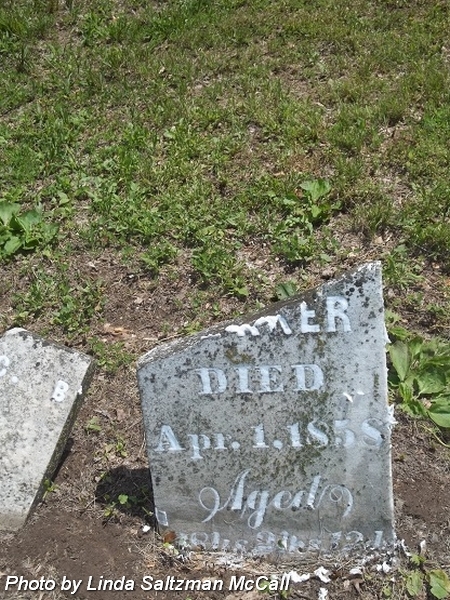 Married 10 Jul 1856. 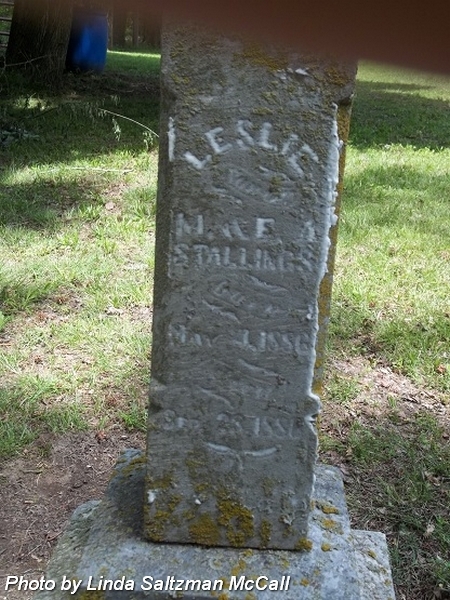 Husband of Sarah E (Murphy) Stallings, 1st, married 20 Feb 1872; and Lodema (Elsperman) Stallings, 2nd, married 26 Mar 1874. Son of Elander & Sarah E (Murphy) Stallings. Infant son of Elander & Sarah E (Murphy) Stallings. 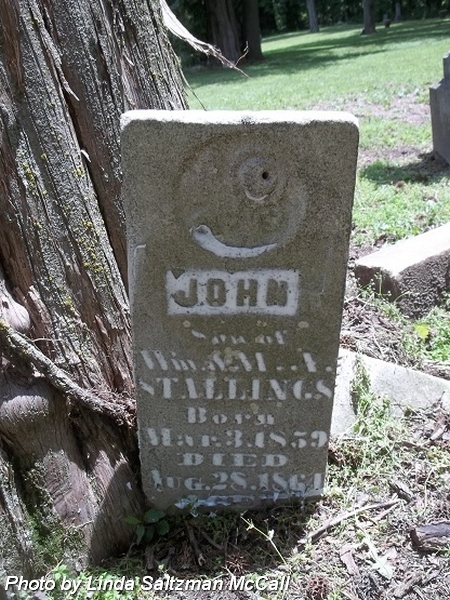 Son of William & Mary Ann (Johnson) Stallings. nee Johnson. 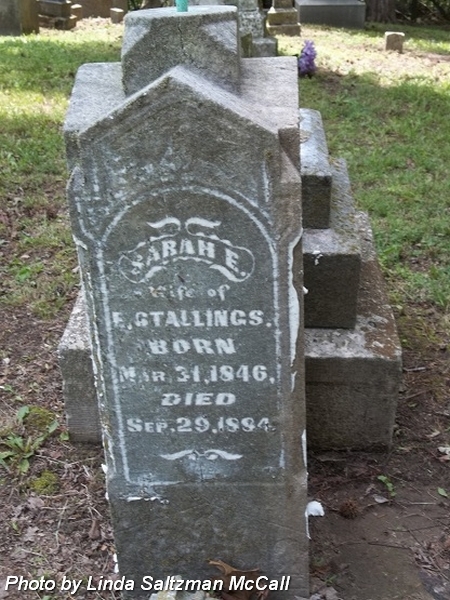 Wife of William Stallings. Married 2 Apr 1836. 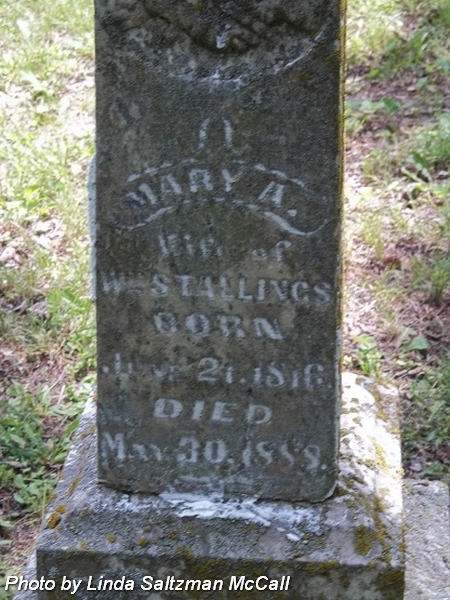 Husband of Mary Stallings, 1st; and Minerva Stallings, 2nd. Son of Wright & Mary A (Hunter) Stallings. nee Murphy. 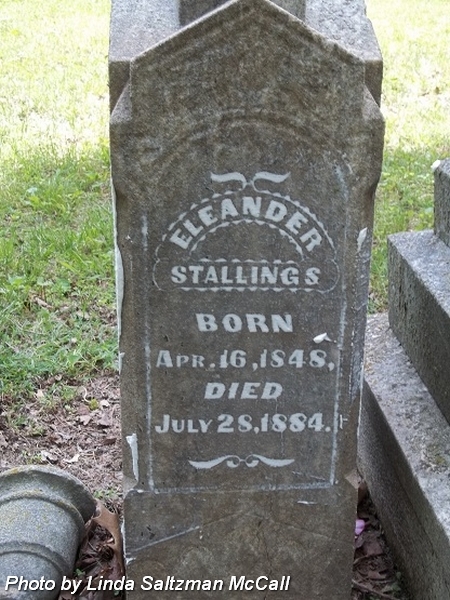 First wife of Elander Stallings. Married 20 Feb 1872. Husband of Mary Ann (Johnson) Stallings. Married 2 Apr 1836. Son of Moses & Mary (James) Stallings. 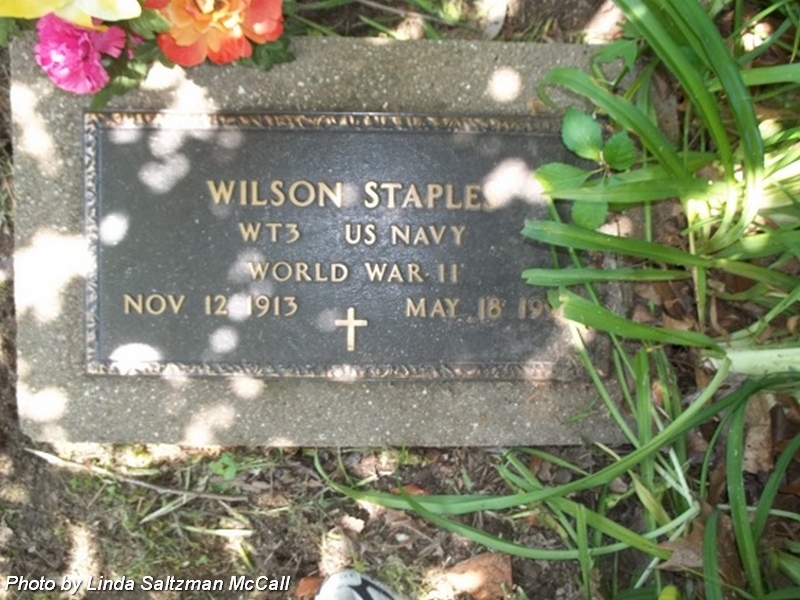 Son of James M & Lucy O Staples. WT3 US Navy, WW II. 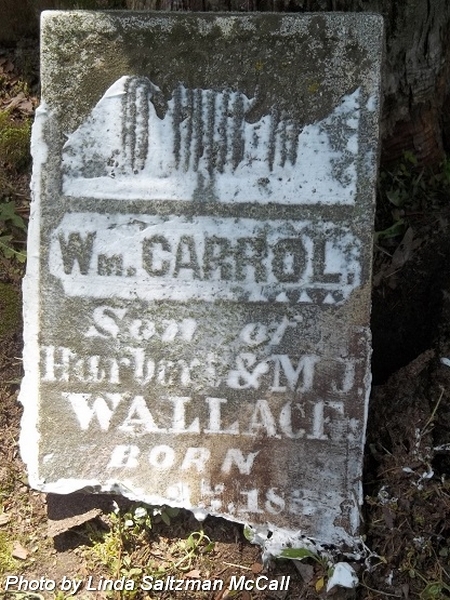 Son of Harbert & Martha J (Ball) Wallace. nee O'Dell. 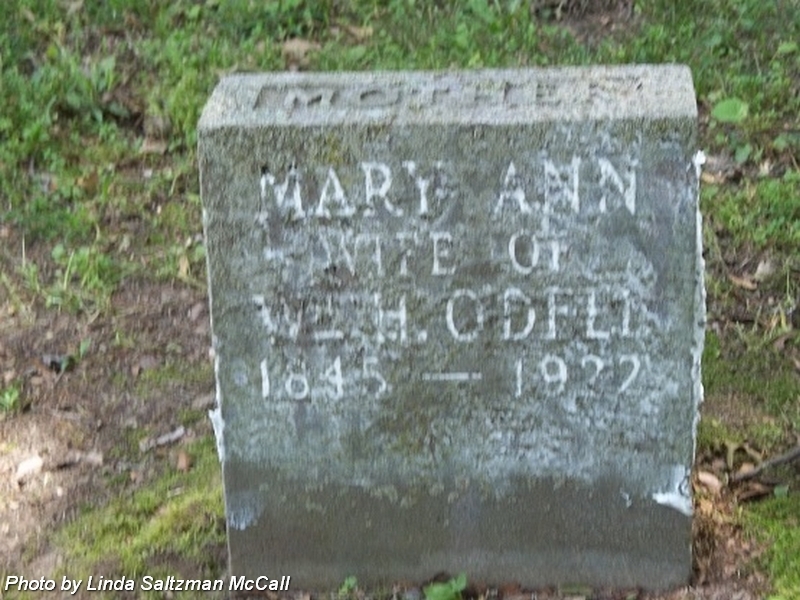 Wife of William M White. 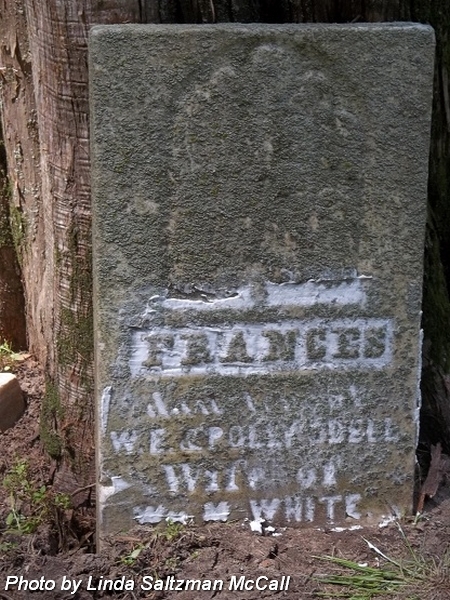 Daughter of W E & Polly O'Dell. nee Johnson. 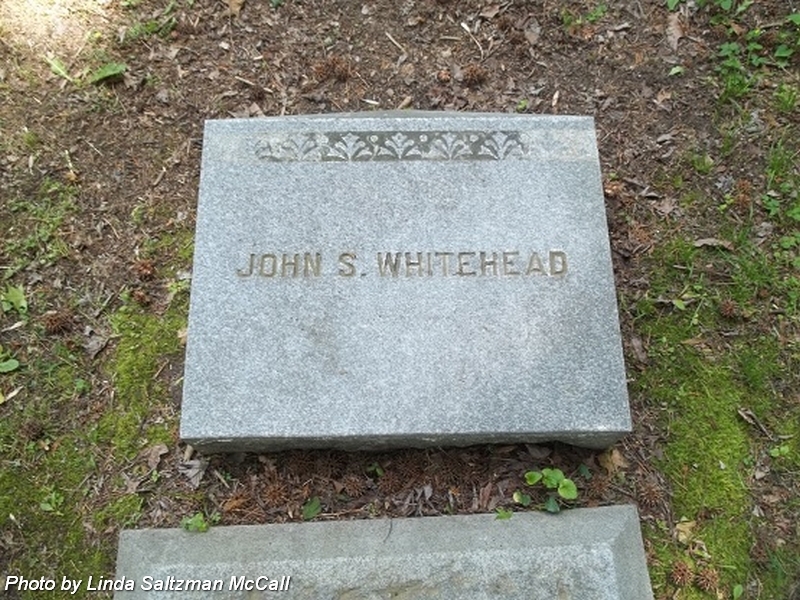 Husband of Martha W (Johnson) Whitehead. Married 30 Feb 1868. 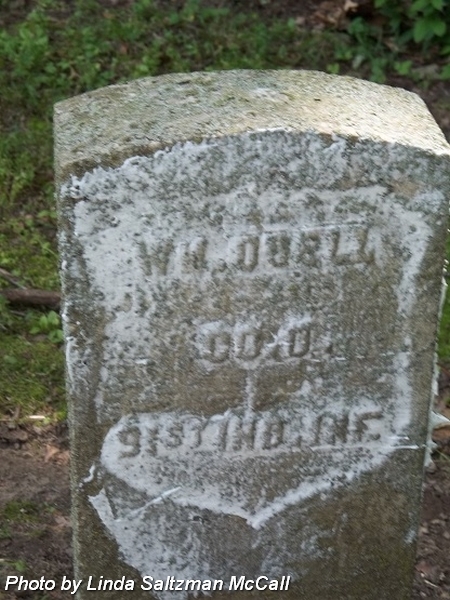 Son of John & Delila Whitehead. Note: Newspaper article dated 29 Jun 1900 relates "A Sad Story" of the "insane" husband's murder of his wife and his sucide. nee Johnson. 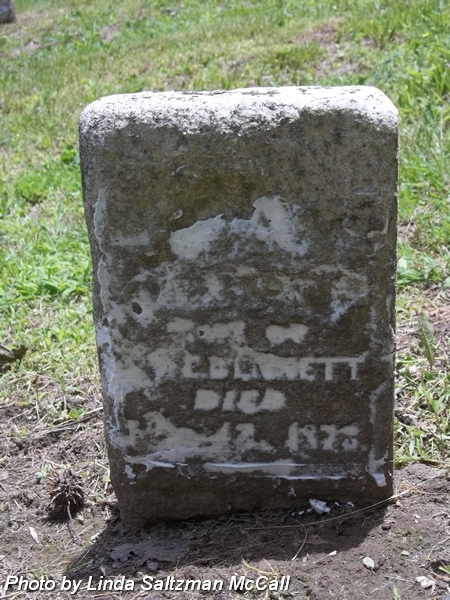 Wife of John W Whitehead. Married 30 Feb 1868. Daughter of James N & Mary (Stallings) Johnson. 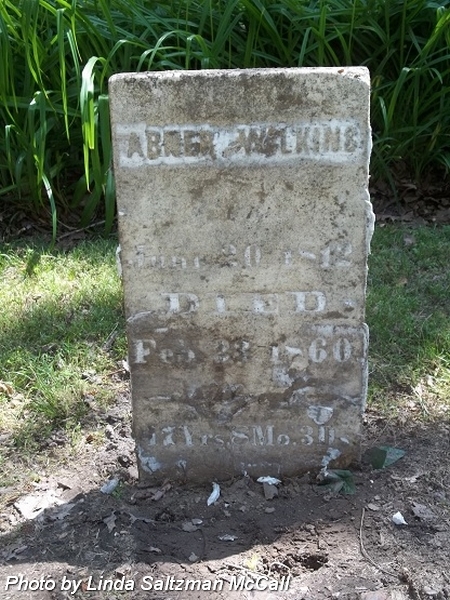 Husband of Mary R (Watson) Wilkins, 1st, married 30 Sep 1839; and Sarah (Staley) Wilkins, 2nd, married 24 Apr 1845. 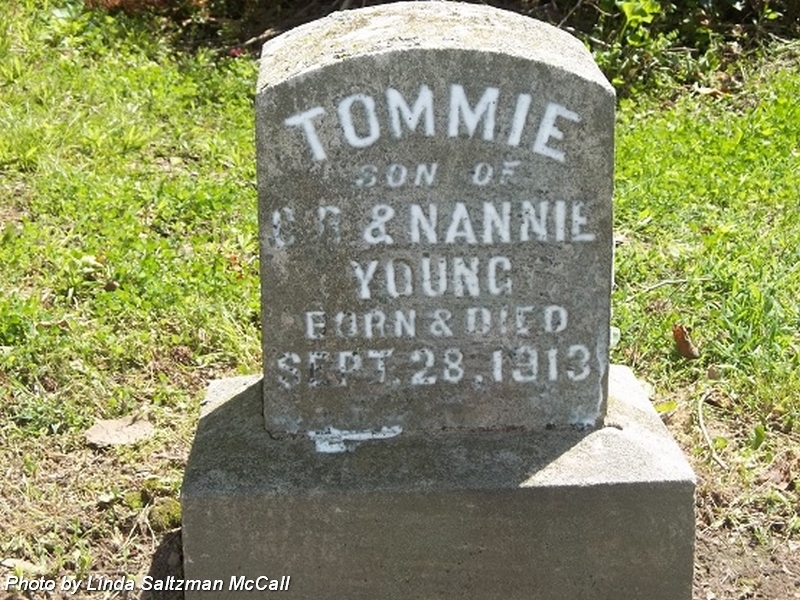 Son of C B & Nannie Young.